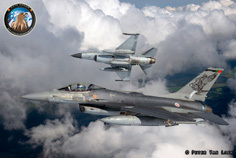 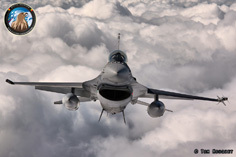 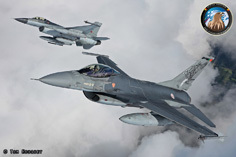 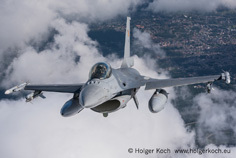 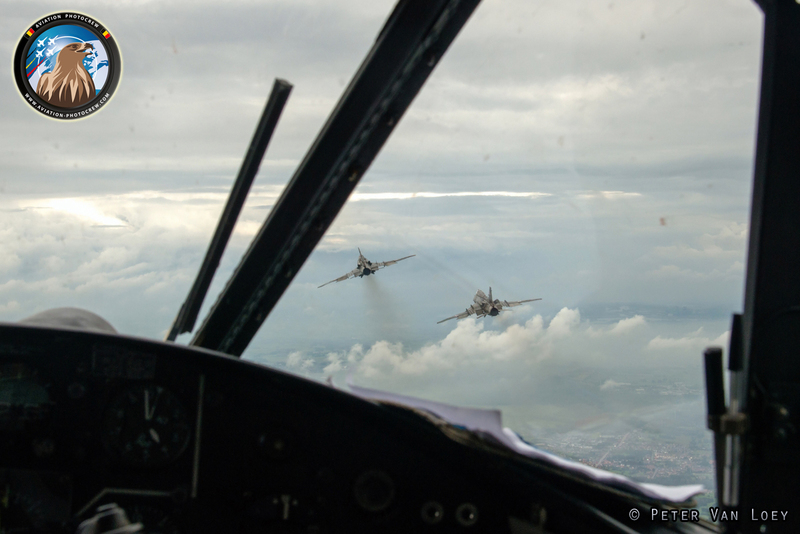 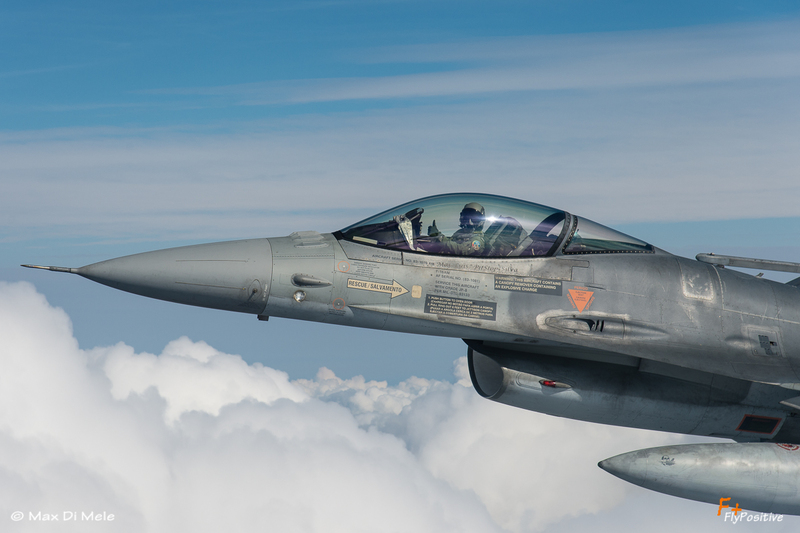 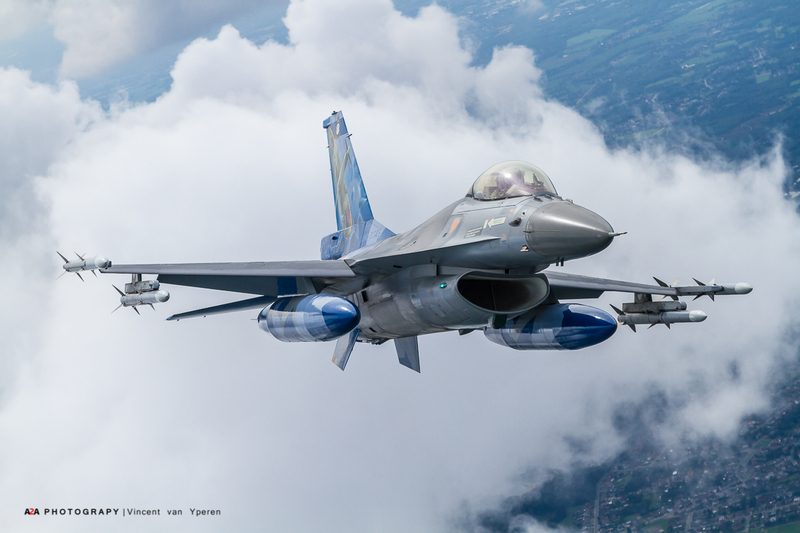 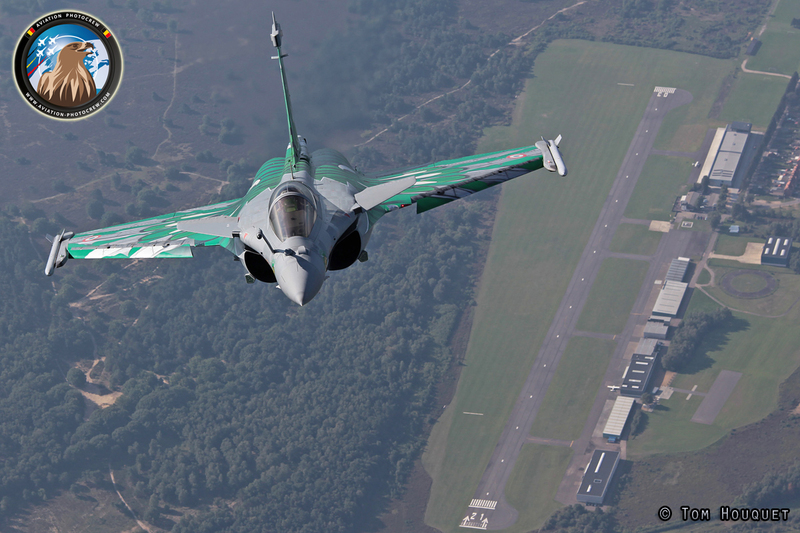 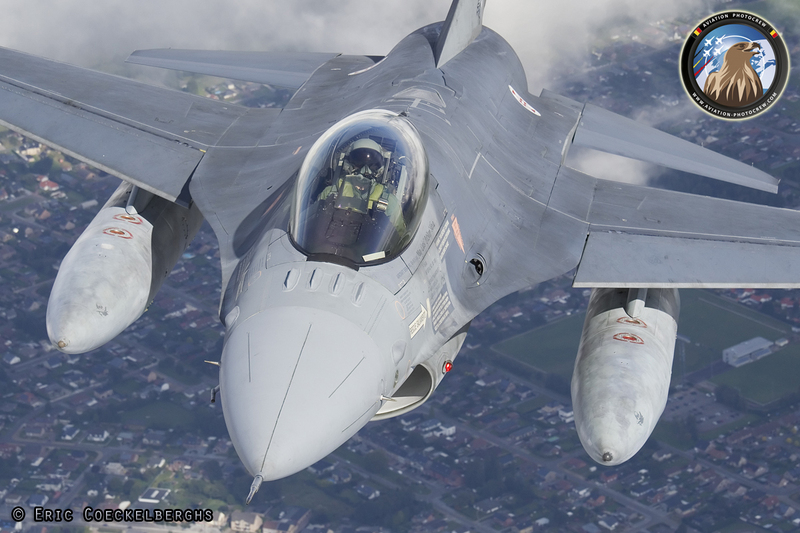 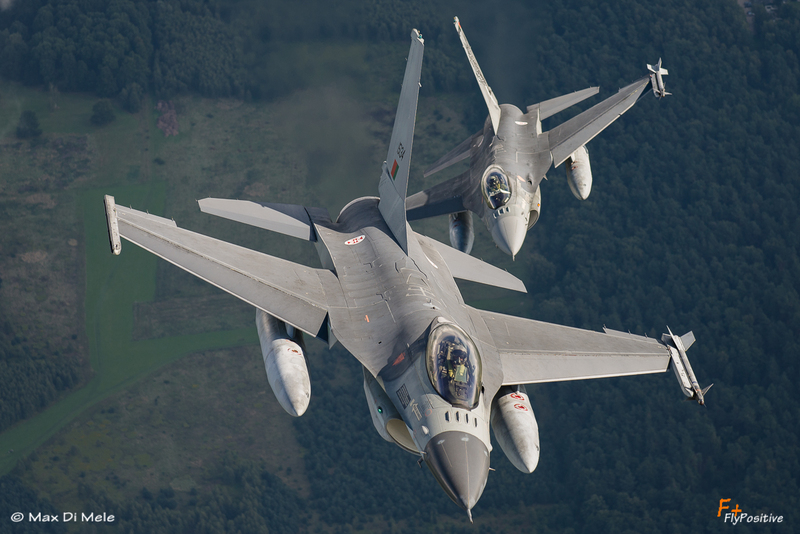 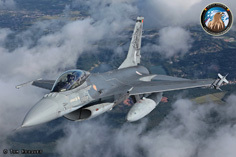 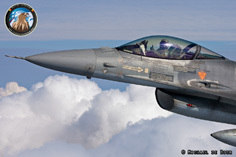 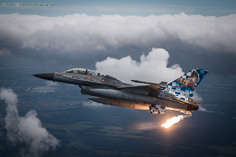 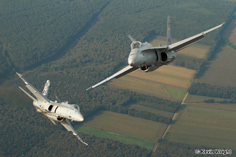 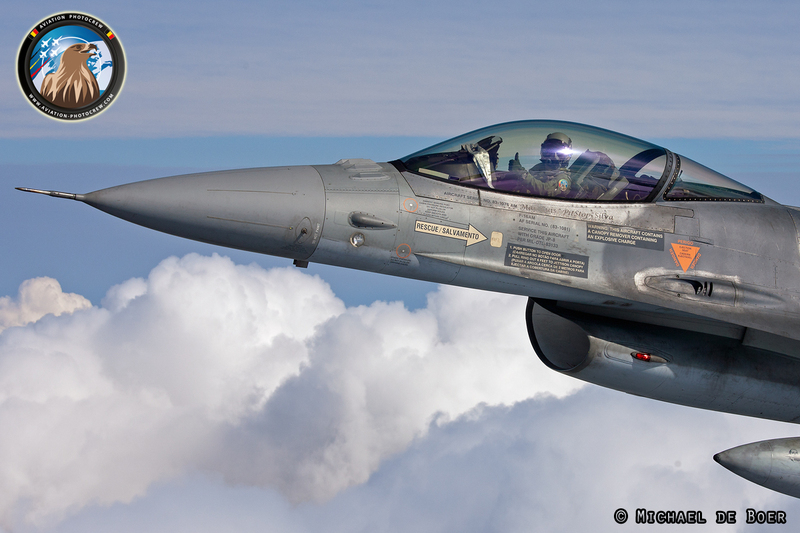 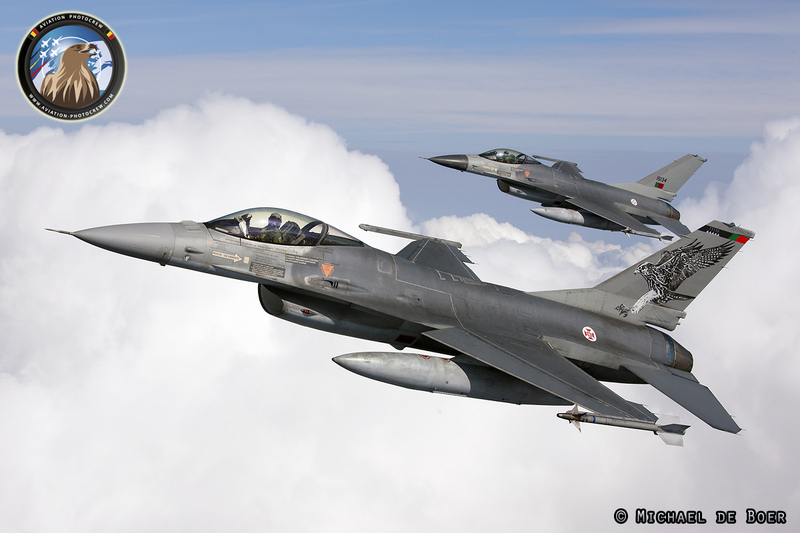 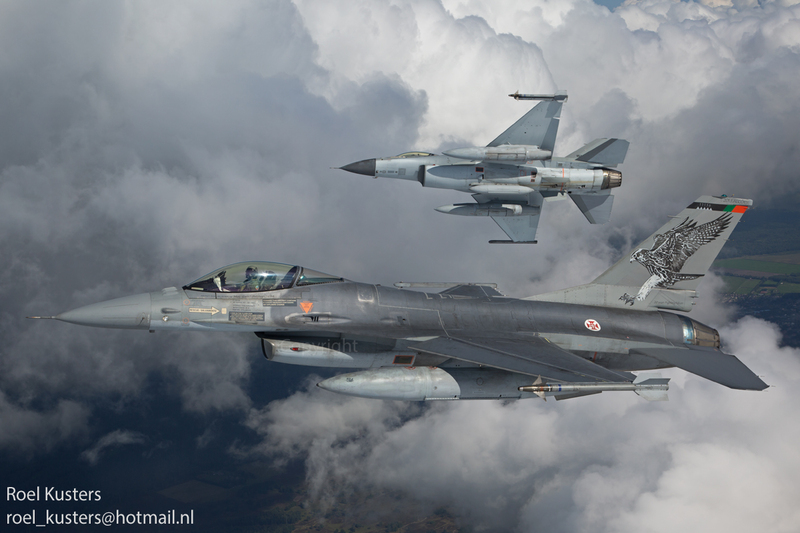 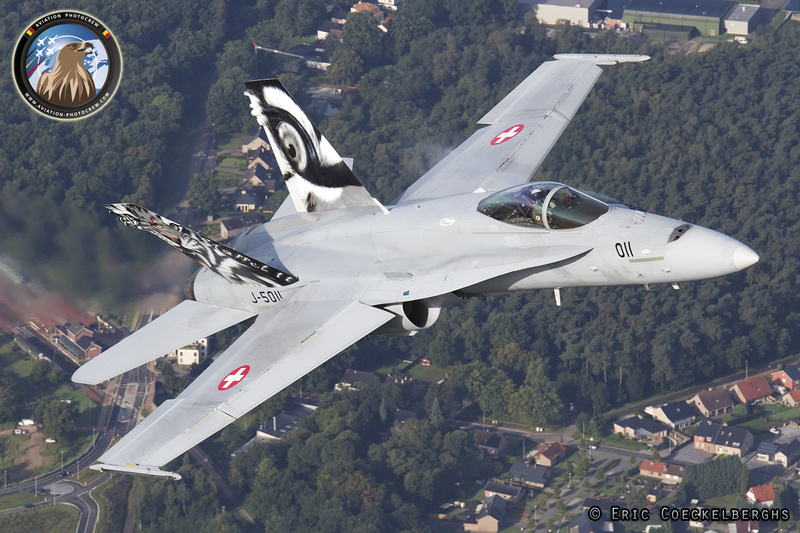 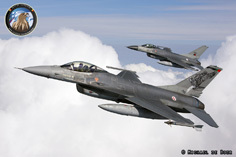 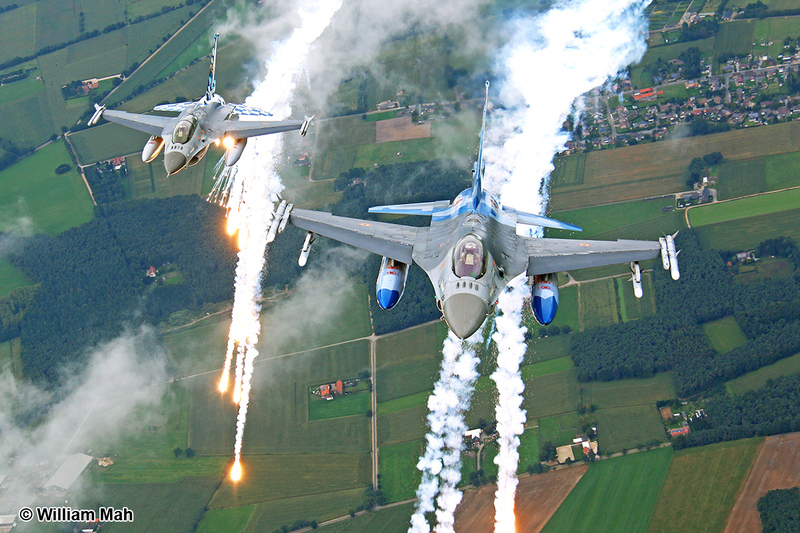 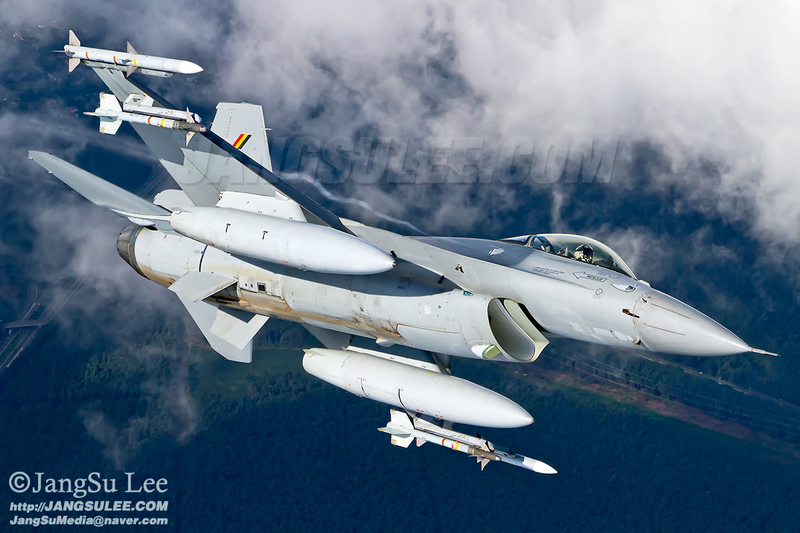 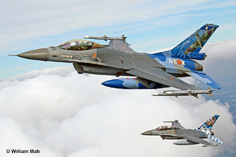 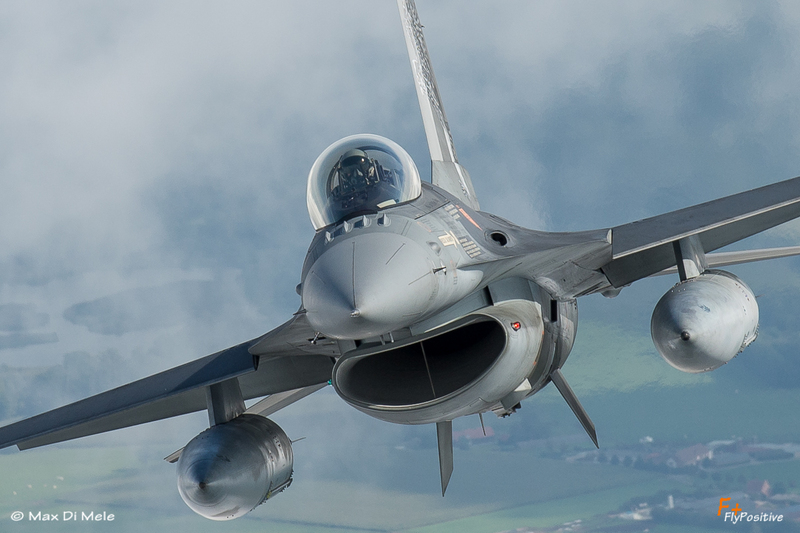 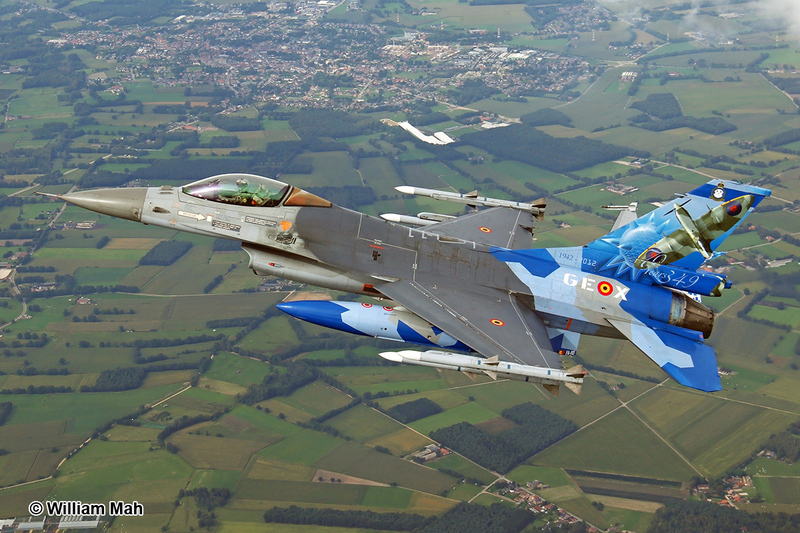 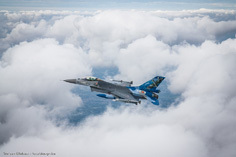 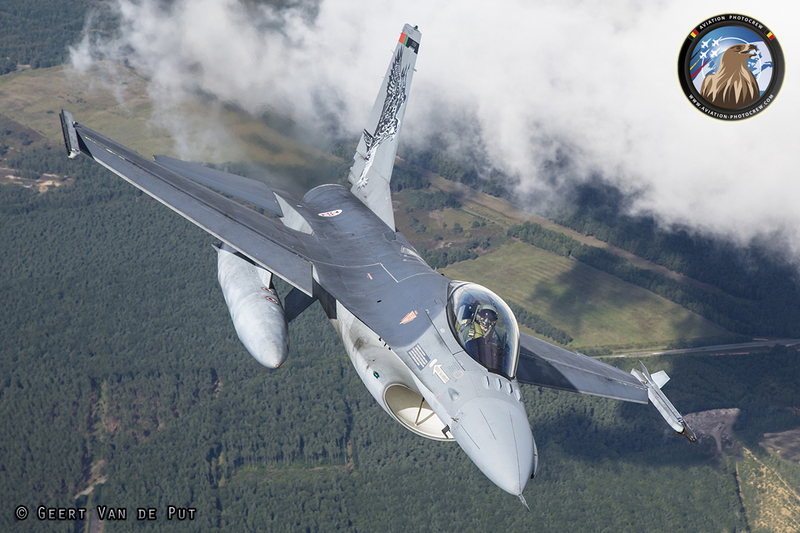 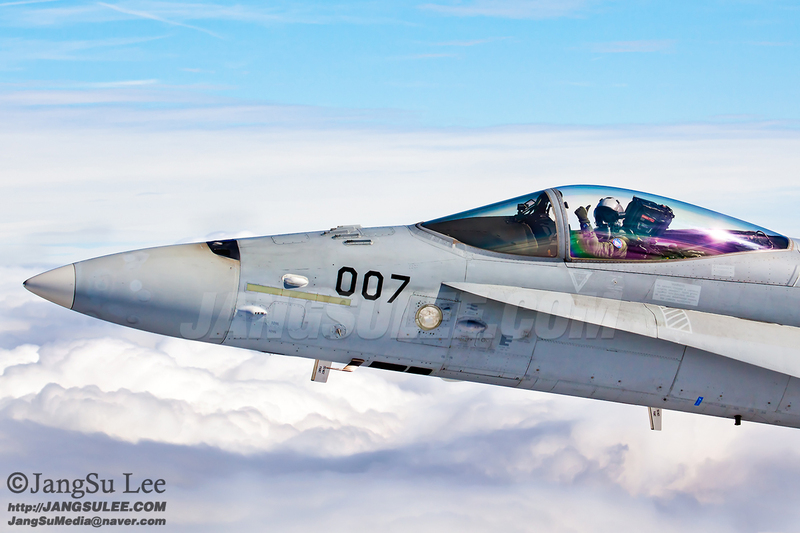 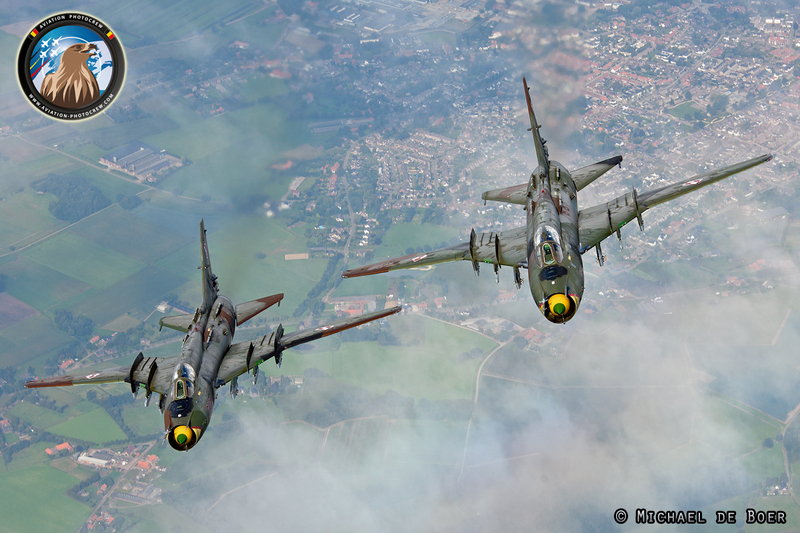 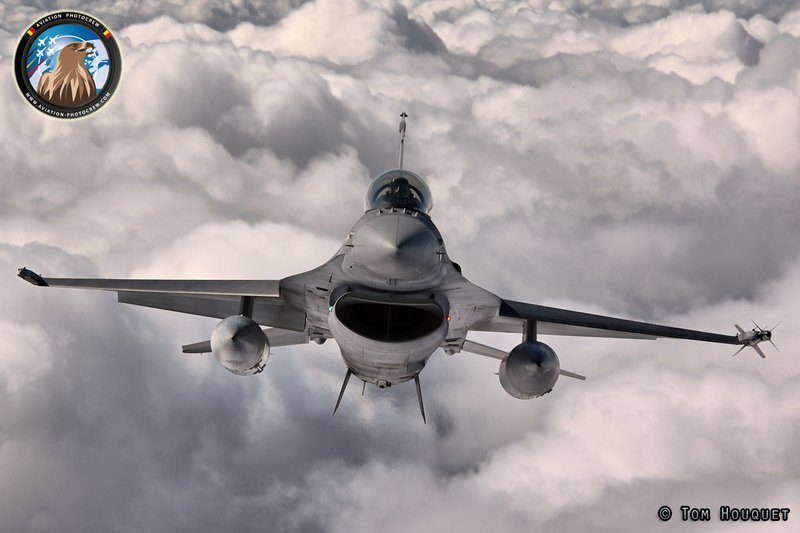 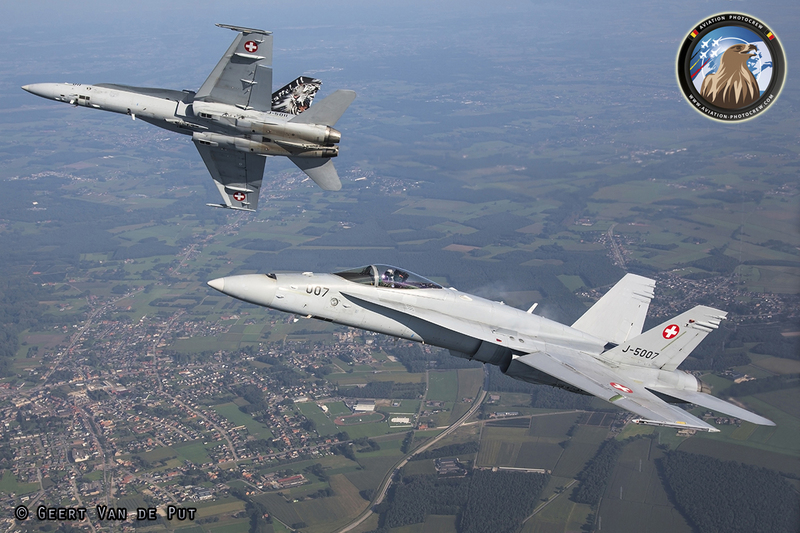 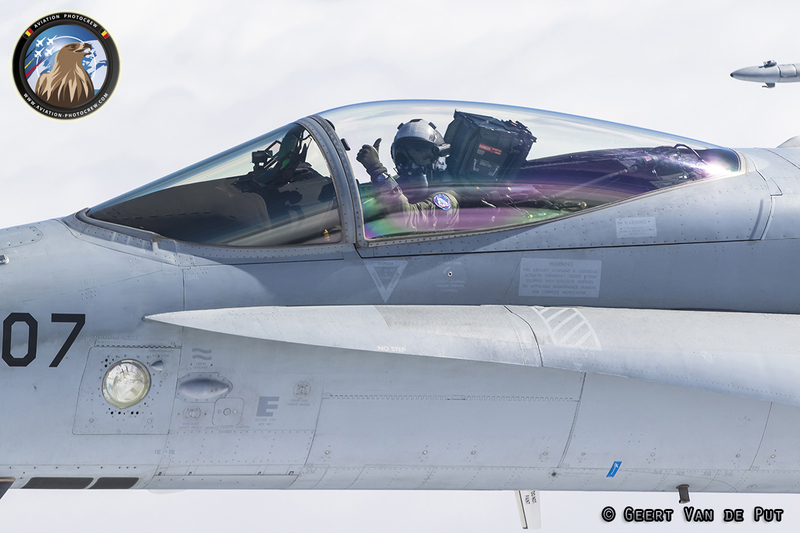 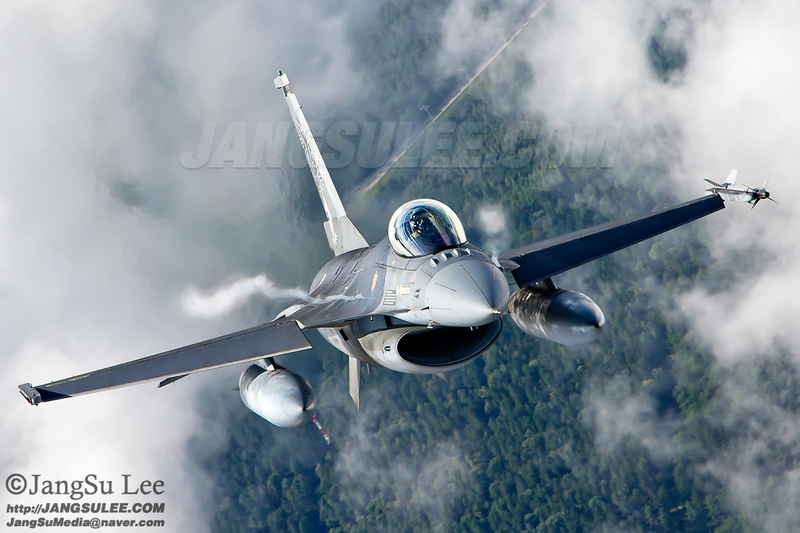 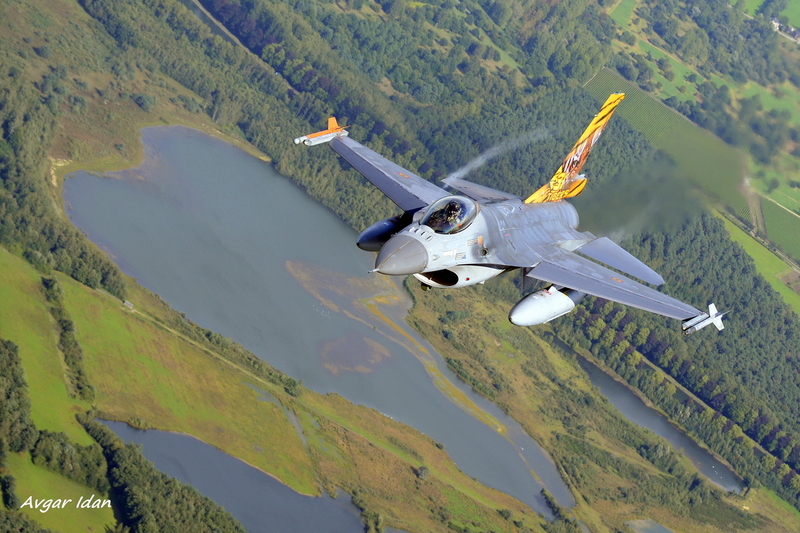 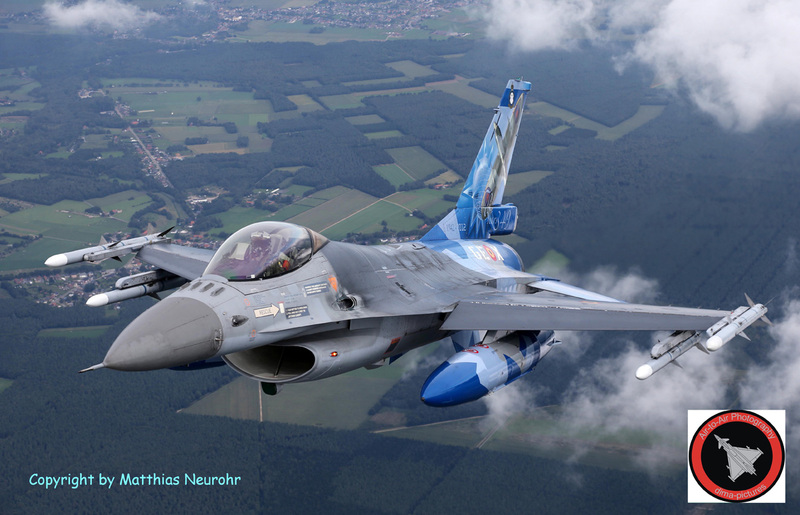 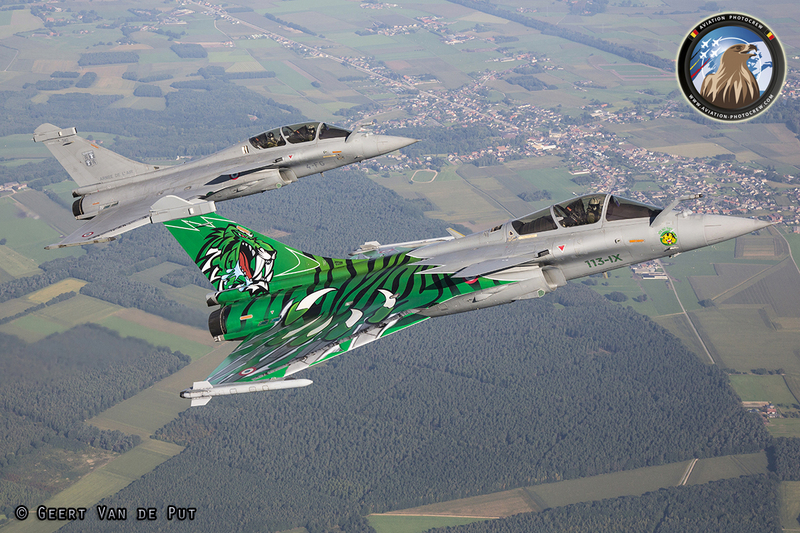 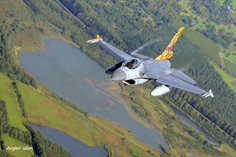 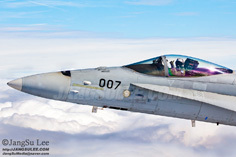 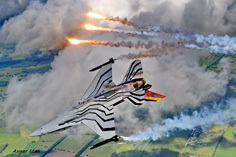 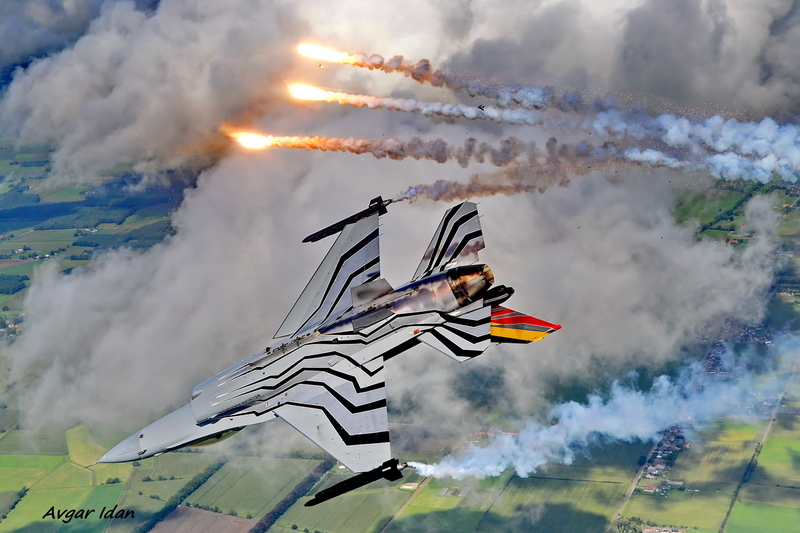 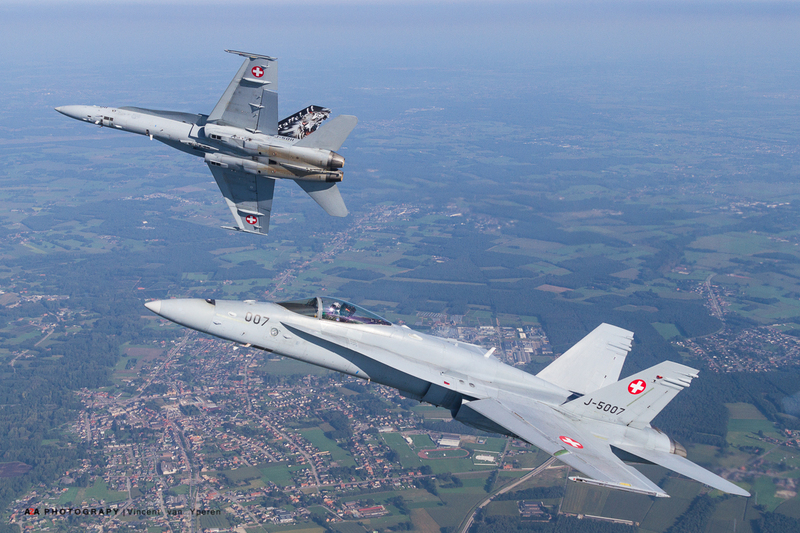 On Wednesday we kicked-off with a dedicated photo-flight with two special colored F-16s of Kleine-Brogel. 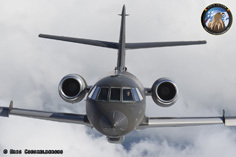 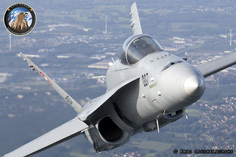 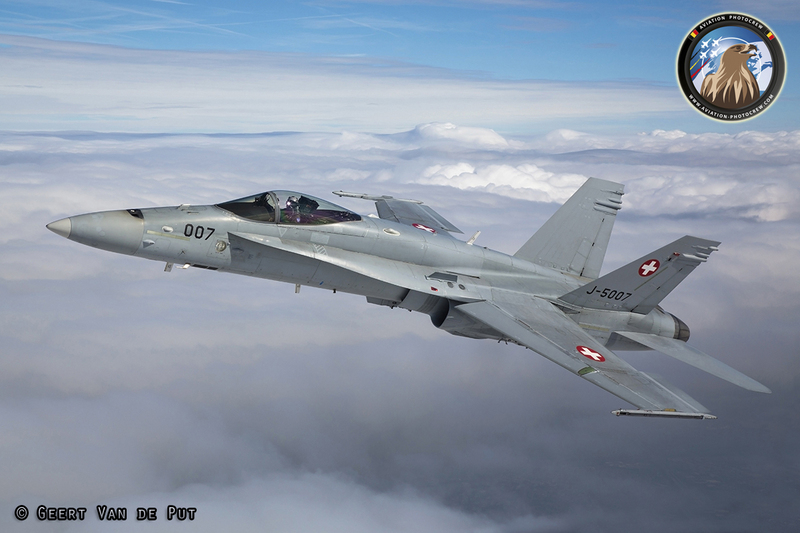 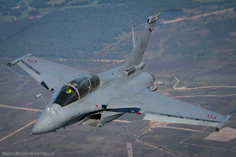 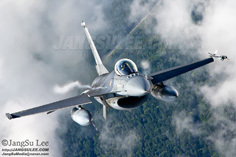 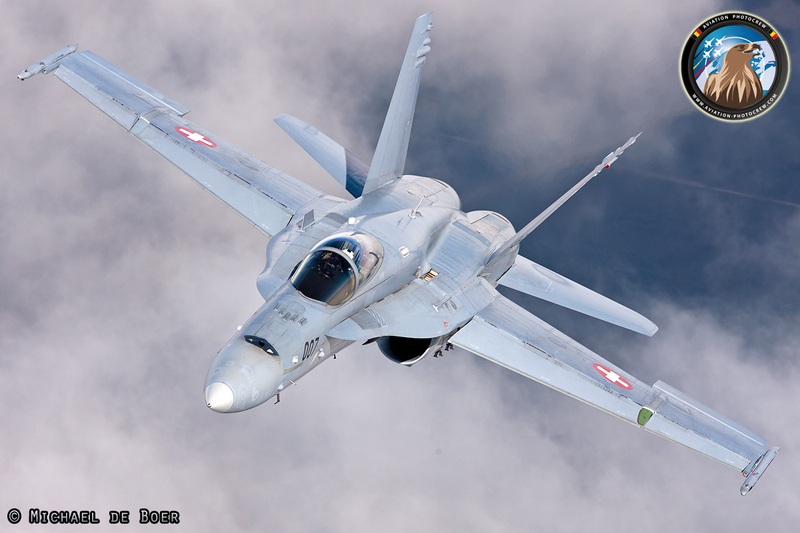 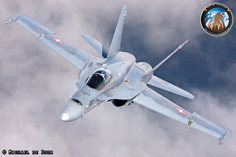 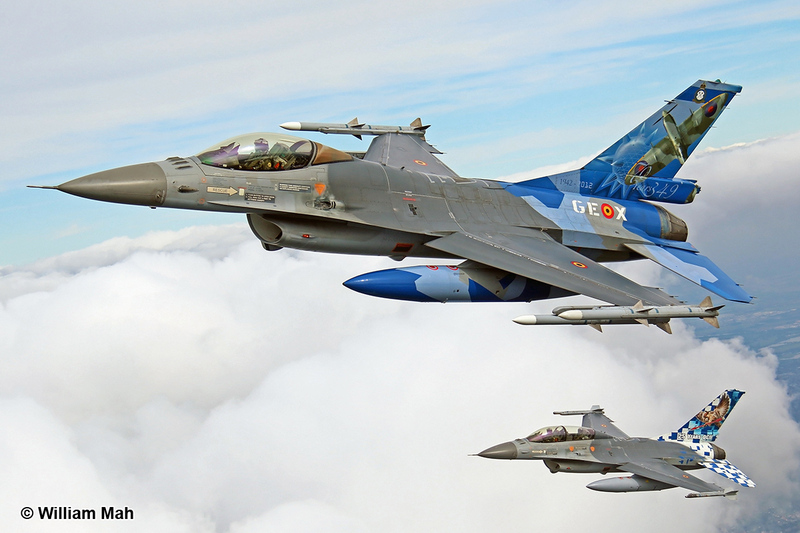 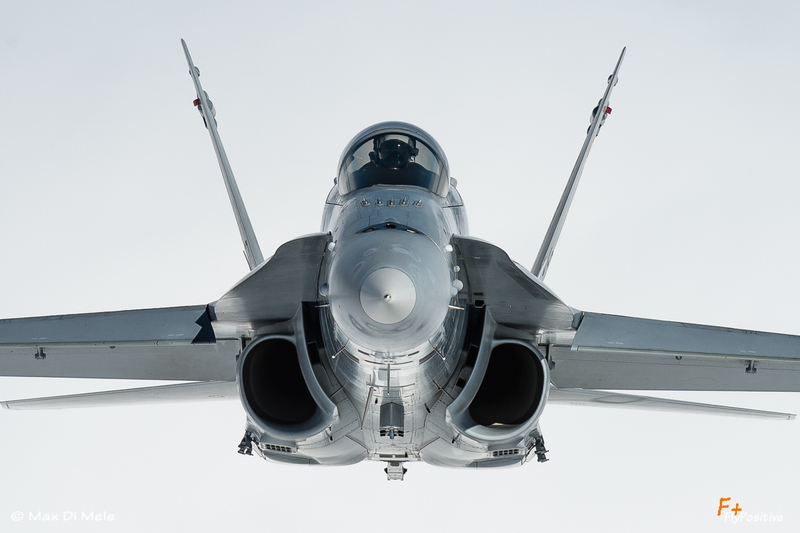 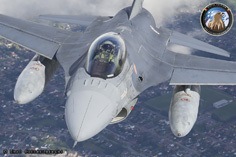 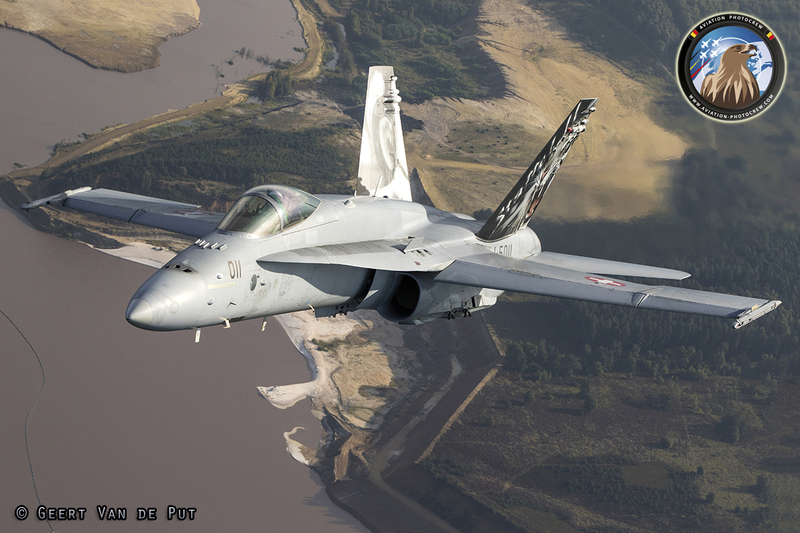 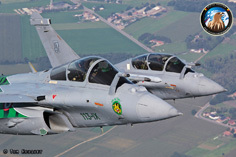 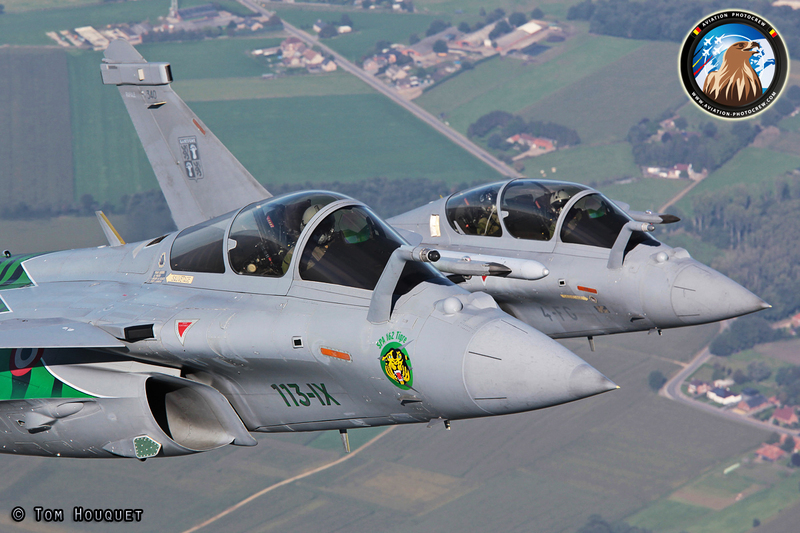 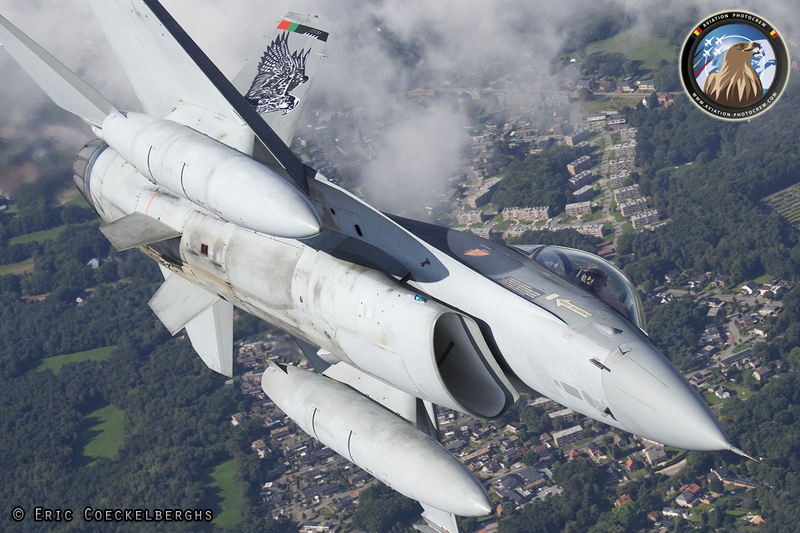 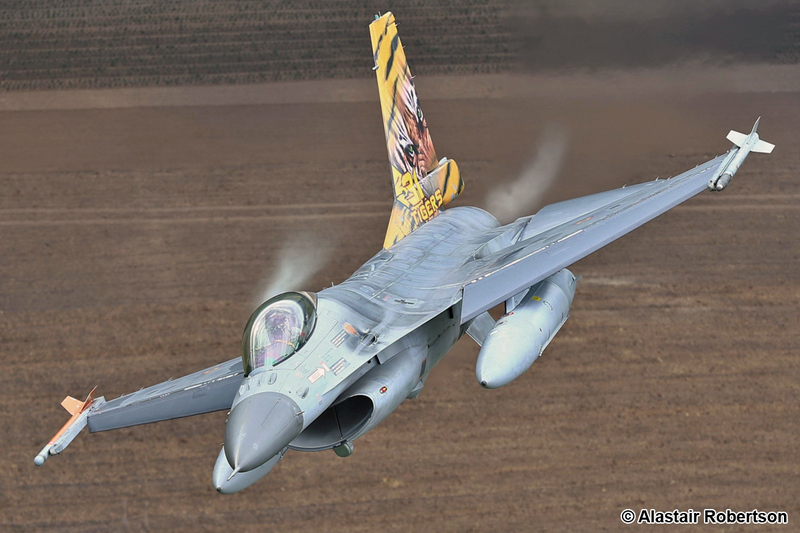 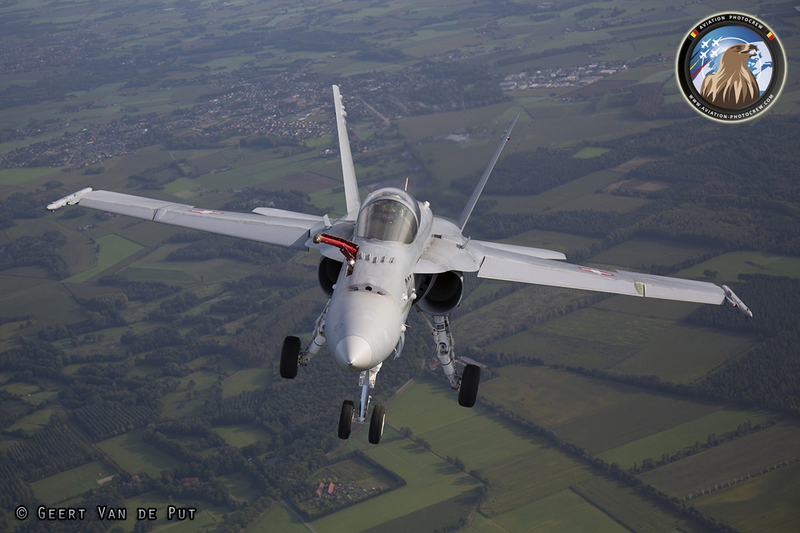 Such was the support of the Belgian Air Force that we made a dedicated report showcasing all Belgian Vipers on this website, which can be found here. 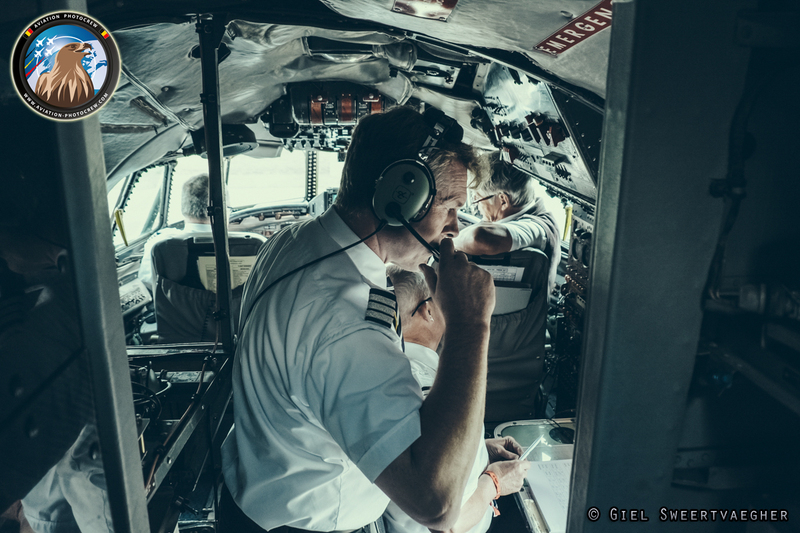 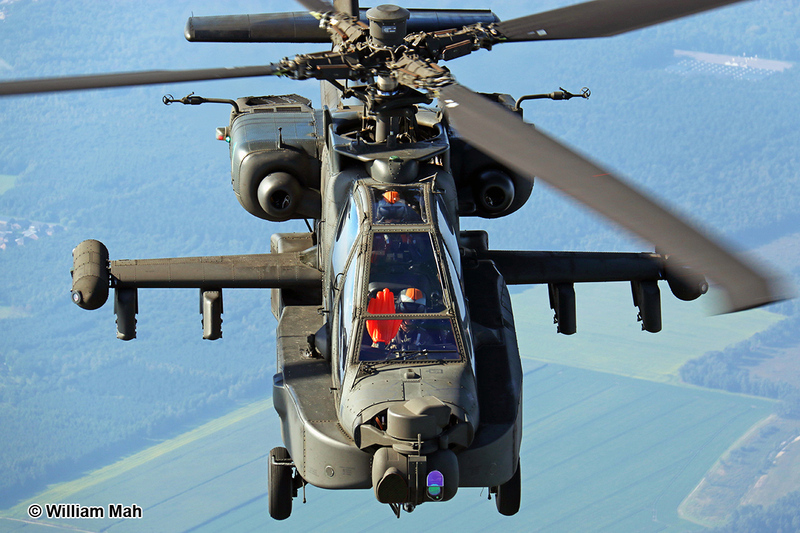 As is our mission, we accommodated as many photographers from all over the world to enjoy air-to-air photography, some 30 in total. This year, we had quite a number of new photographers, from the USA, Poland, Israel, Switzerland and our neighboring countries. 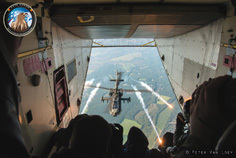 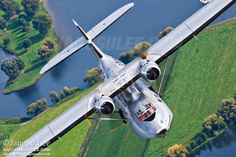 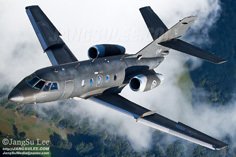 Of course, they are now spoiled for life, because immediately they were given the opportunity to shoot fast jets, helicopters and warbirds, shooting from the ramp of the Skyvan and from the side-windows. 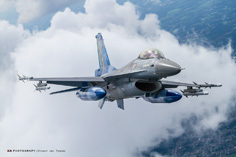 Besides the new photographers, we had many familiar faces returning to enjoy our unique photo-ops, from countries like the Cayman Islands, South Korea, Hong Kong, Israel, the UK, Romania, Switzerland, Finland, Denmark, the Netherlands, Germany, France and of course Belgium. 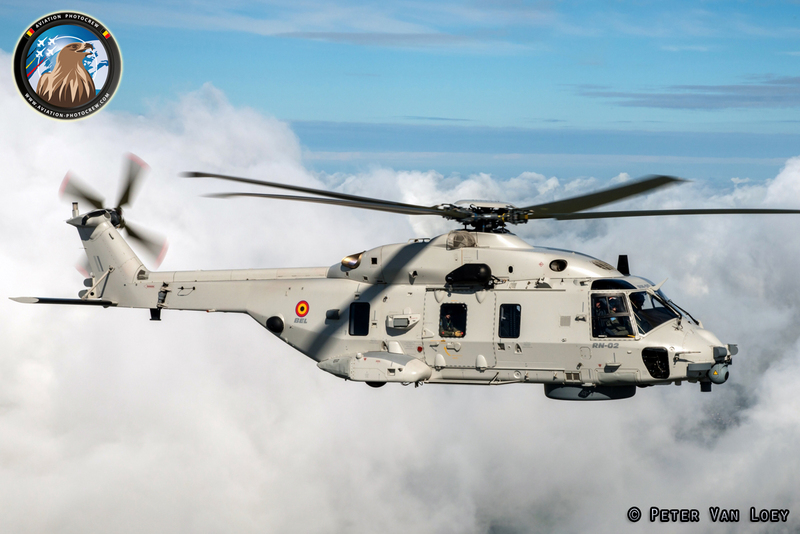 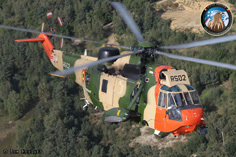 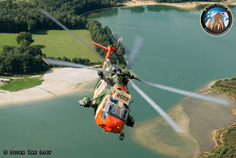 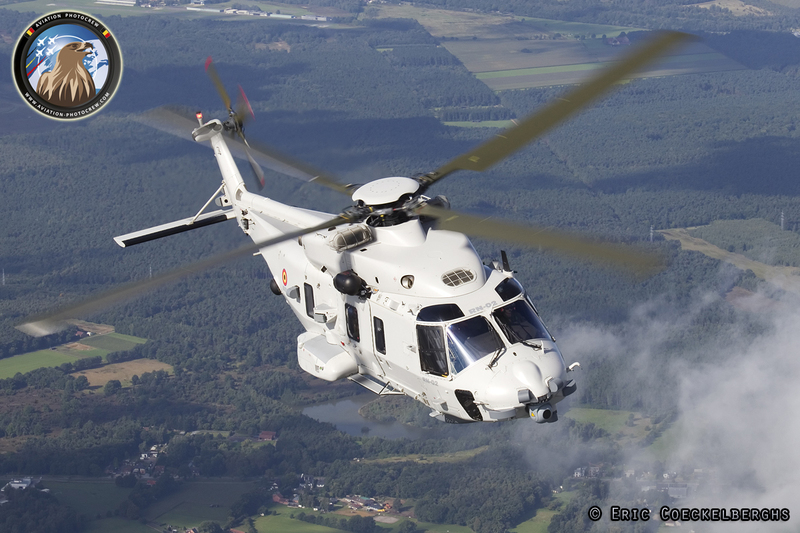 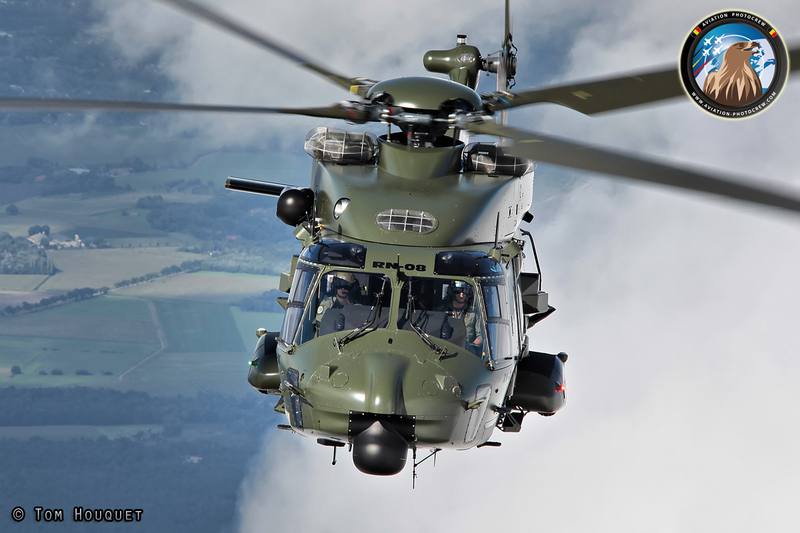 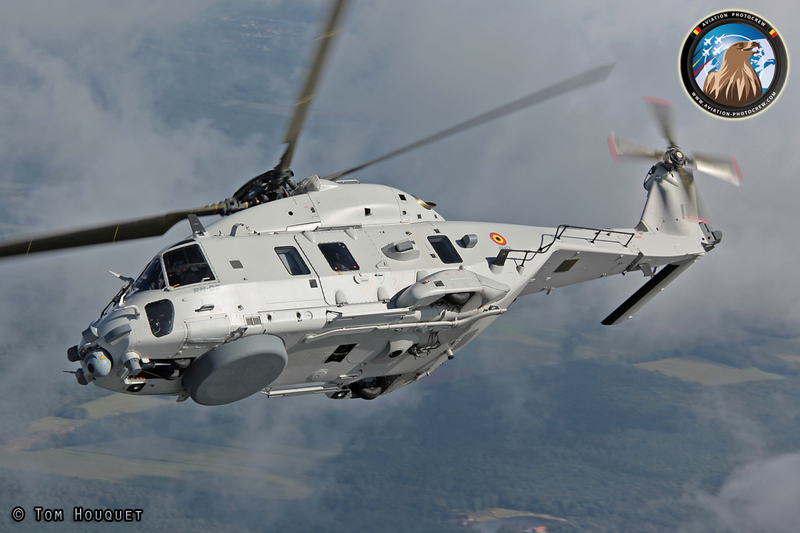 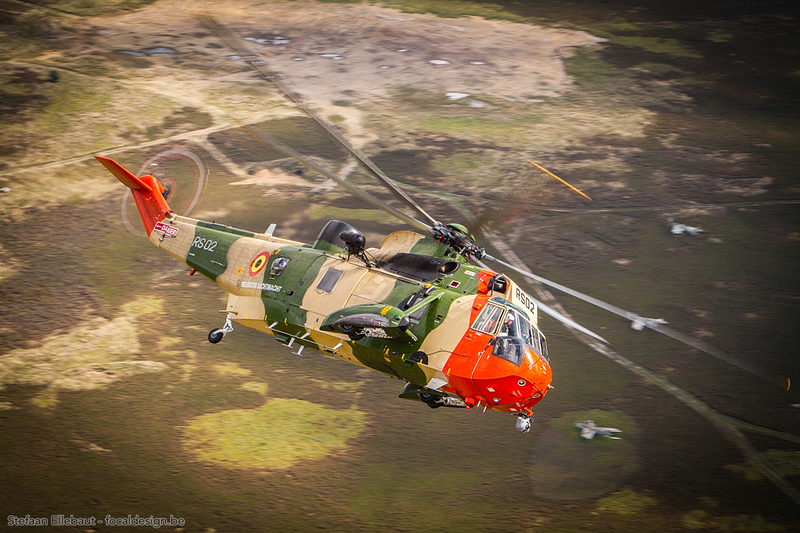 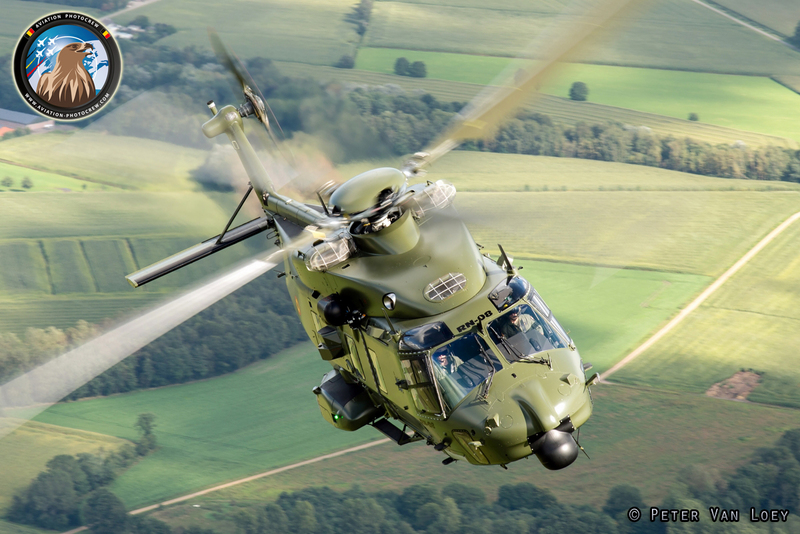 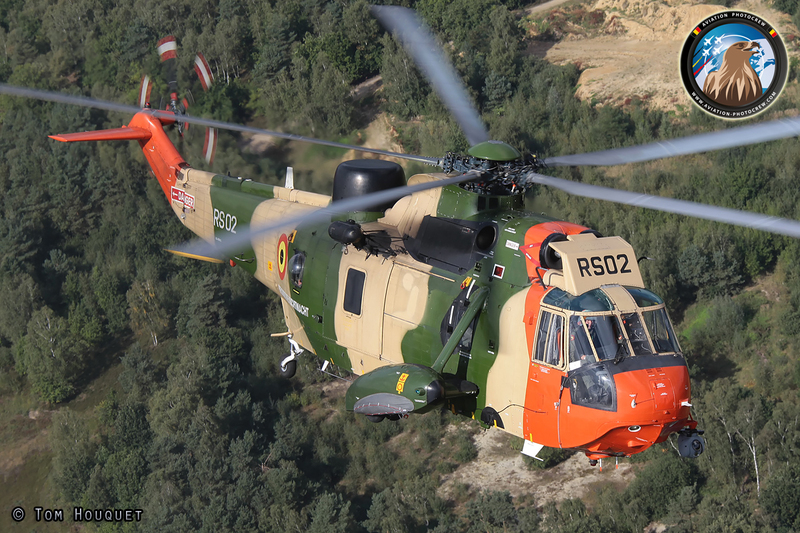 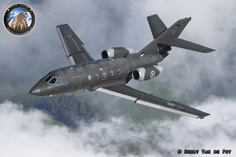 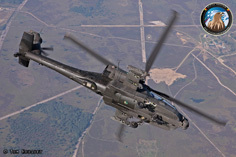 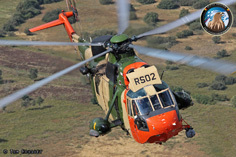 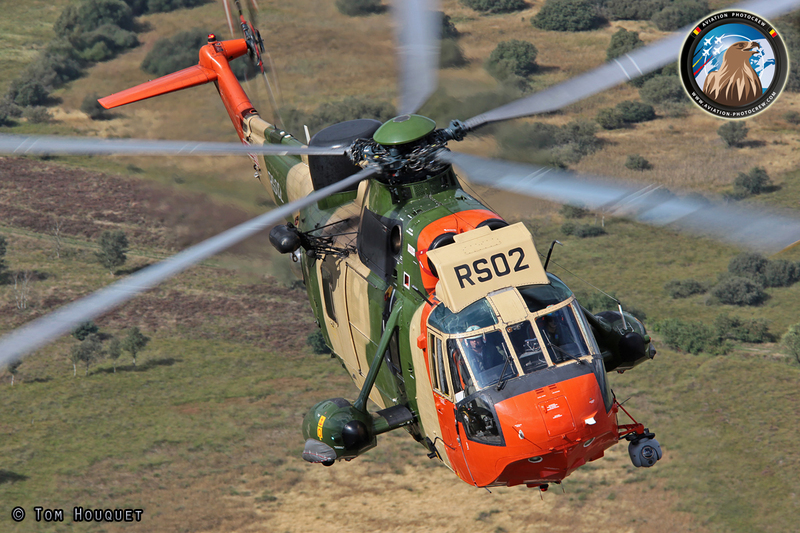 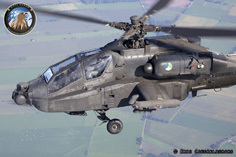 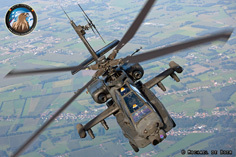 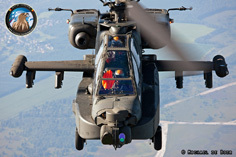 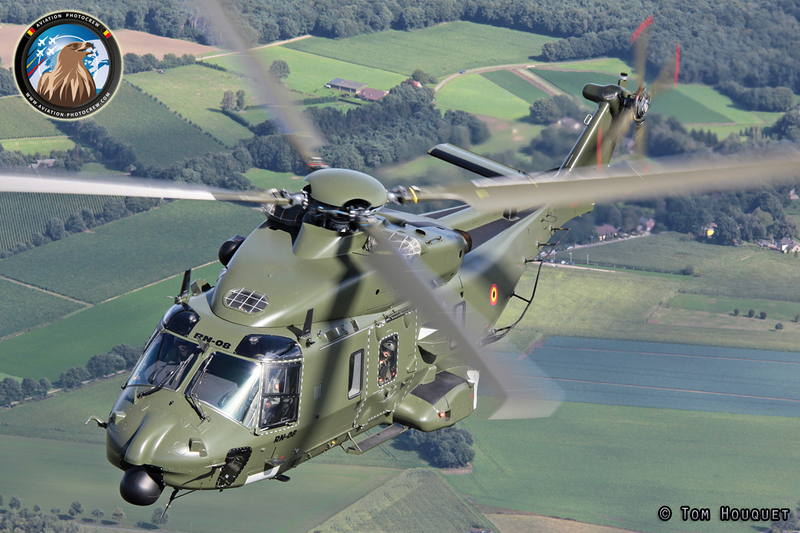 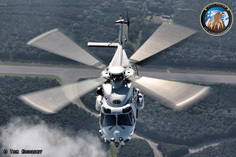 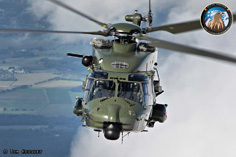 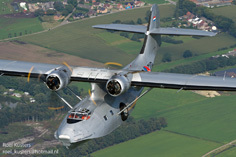 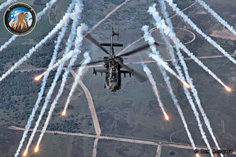 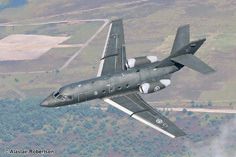 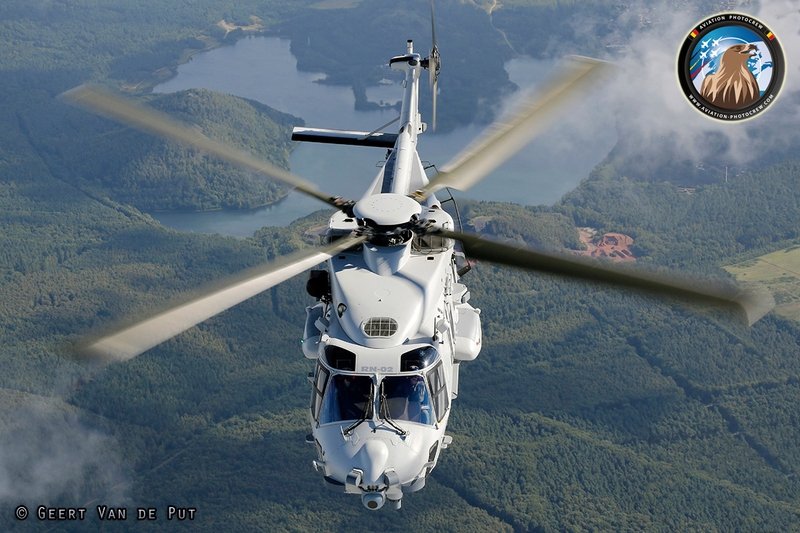 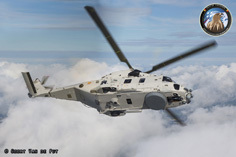 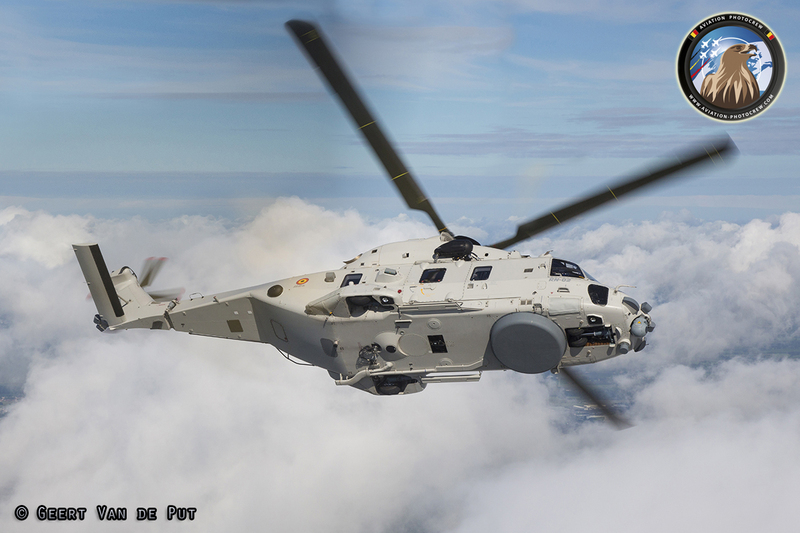 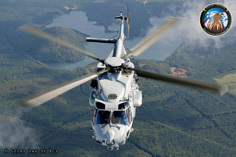 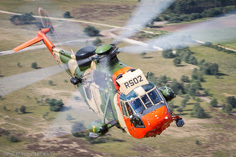 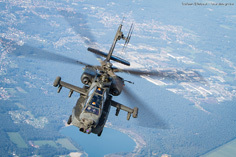 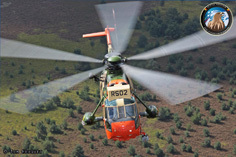 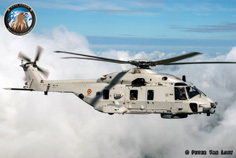 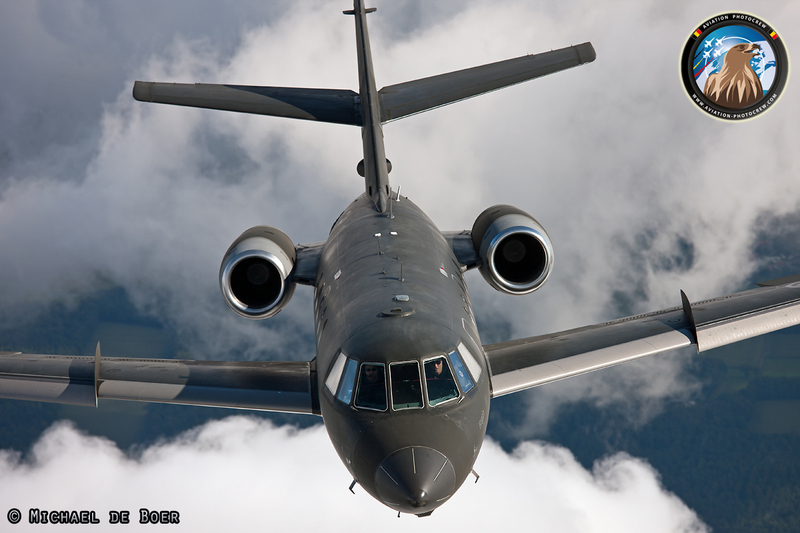 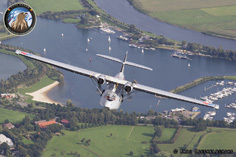 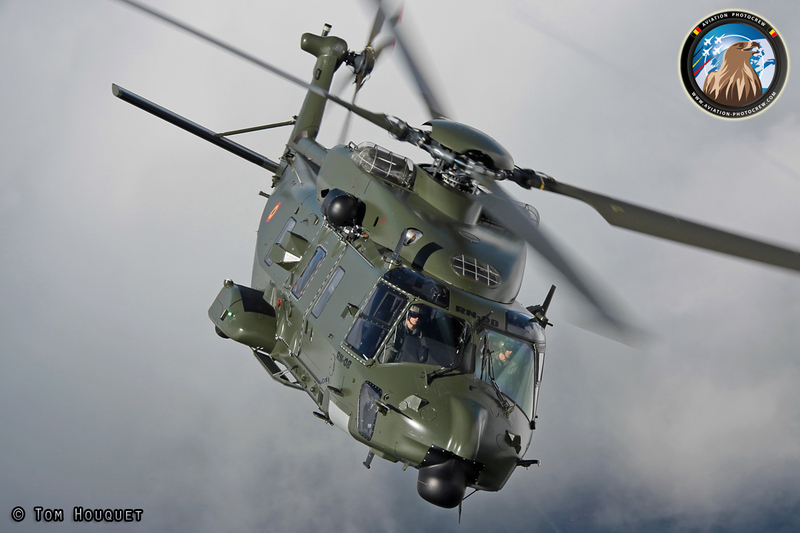 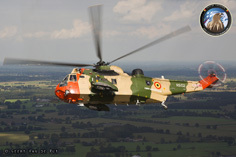 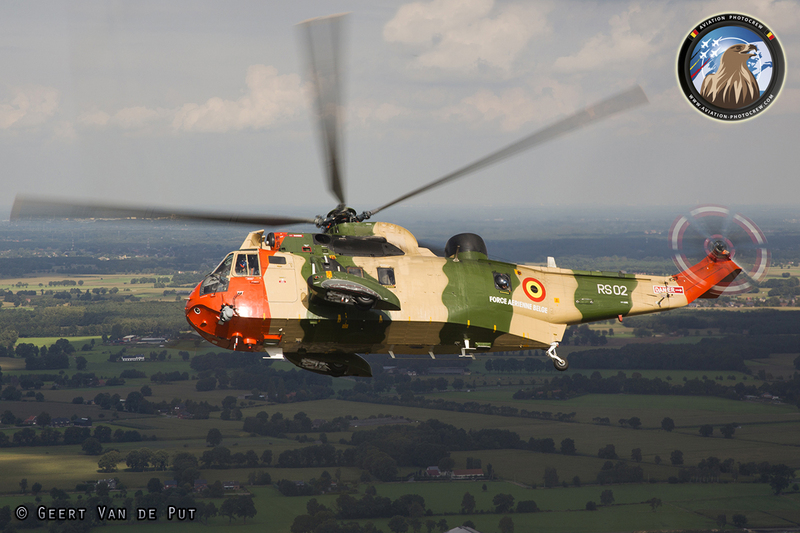 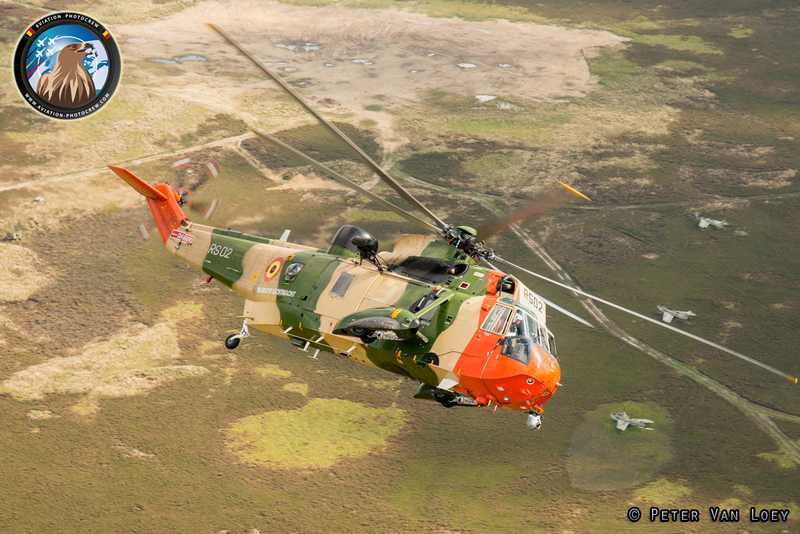 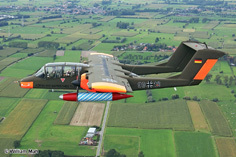 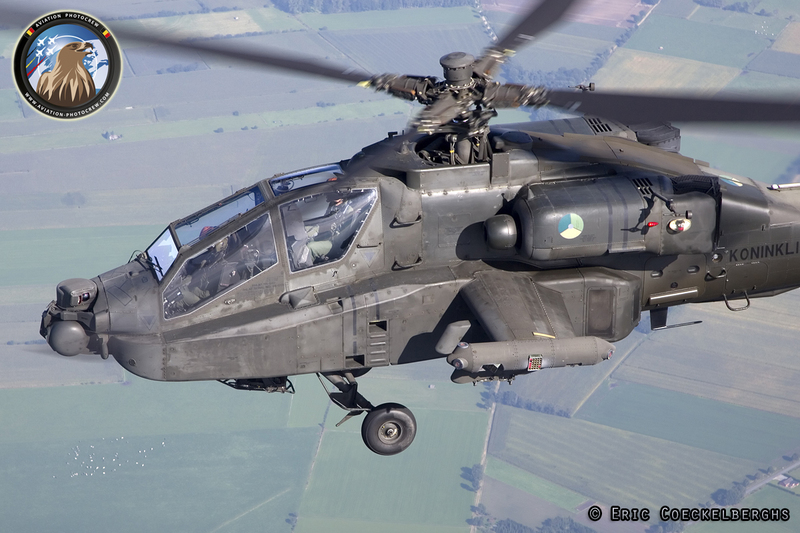 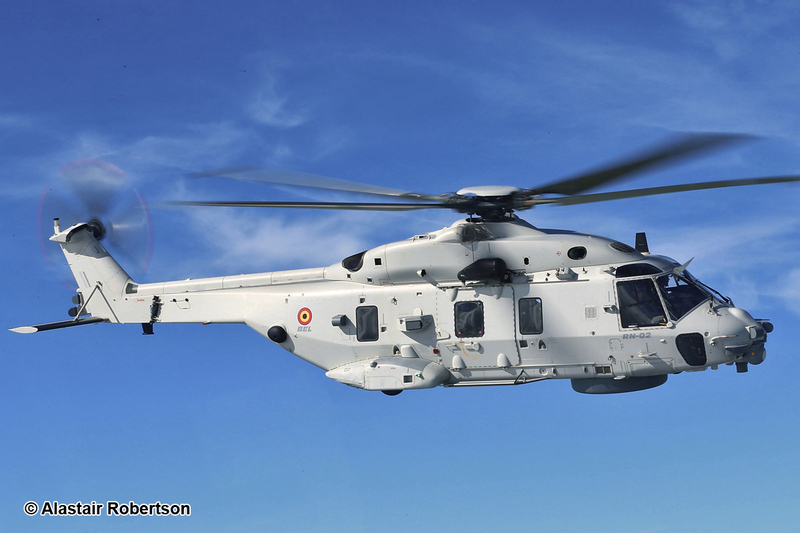 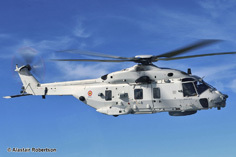 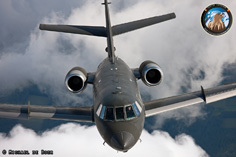 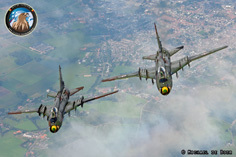 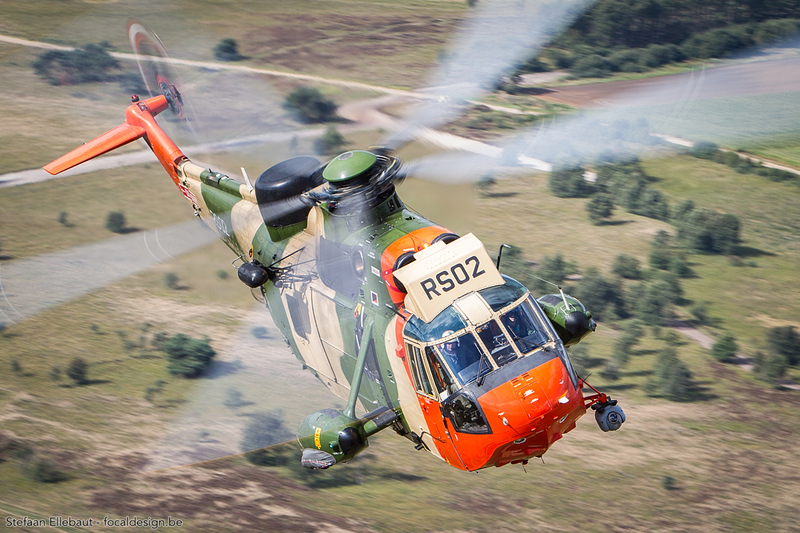 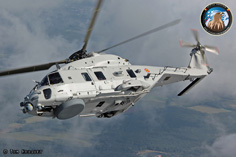 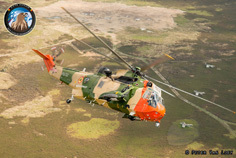 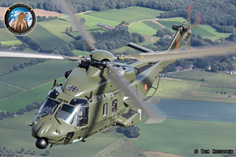 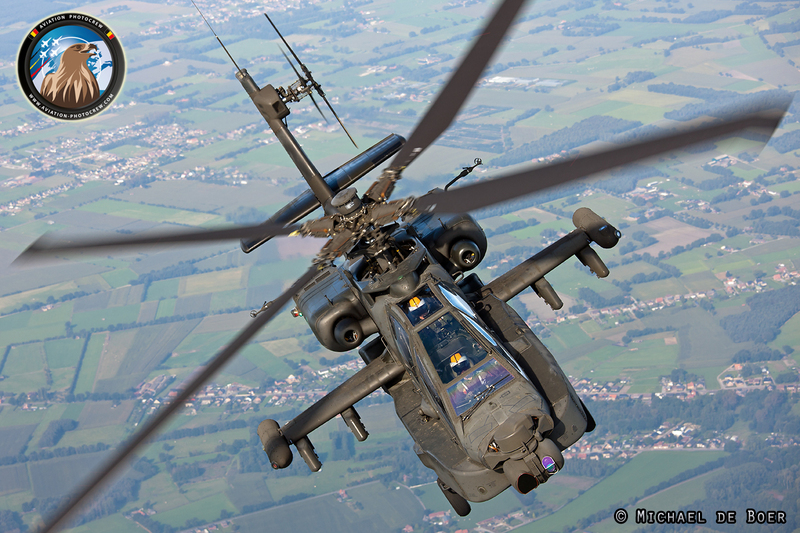 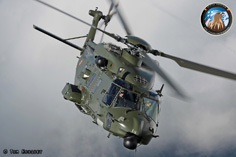 This year, apart from the numerous Belgian Vipers with special markings shooting flares over the Pampa-range, we had further subject aircraft from the Belgian Defense Forces such as Air Force and Navy NH90s and the venerable Sea King, which is in the twilight of its long and distinguished career. 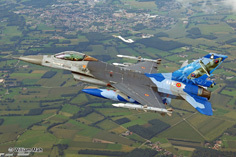 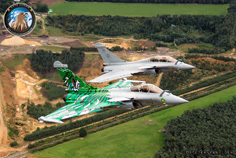 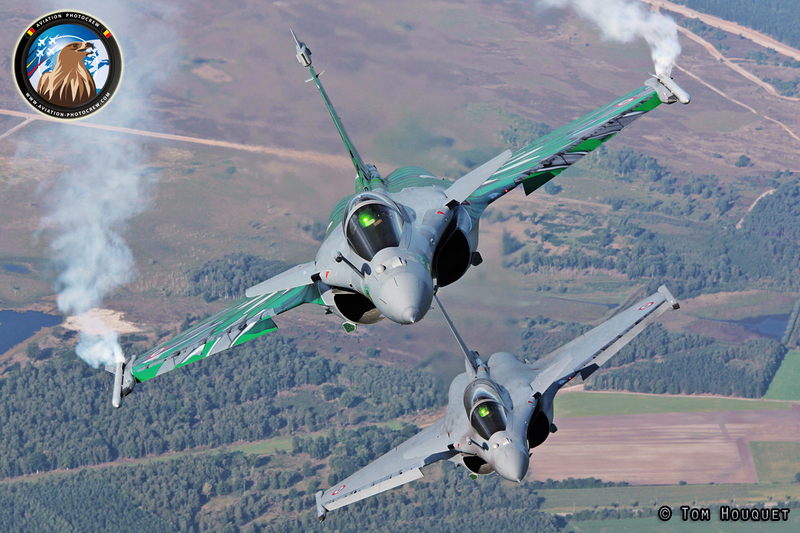 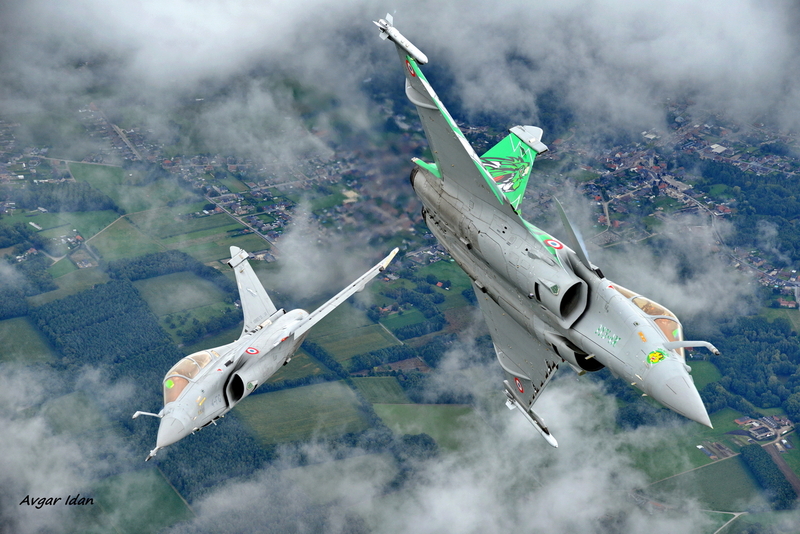 Our neighbors from the Dutch and French Air Forces also joined up repeatedly. 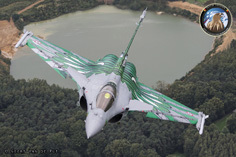 French Rafale demo-pilot Tao showed-of his third special painted Rafale, as close as ever, both solo as well as with the spare dual aircraft. 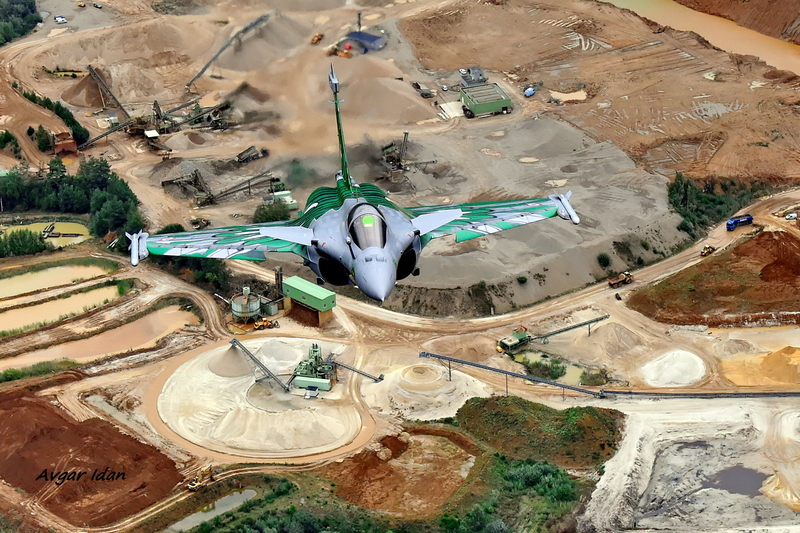 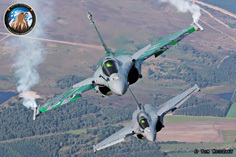 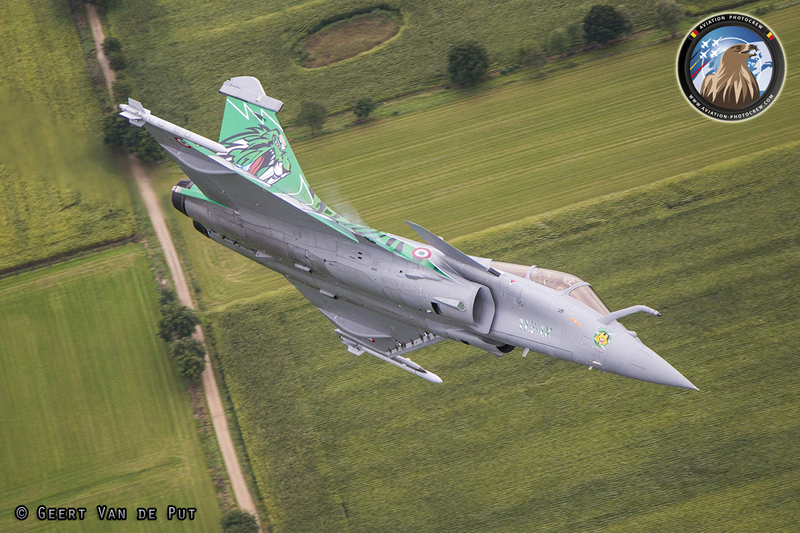 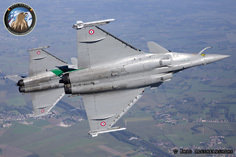 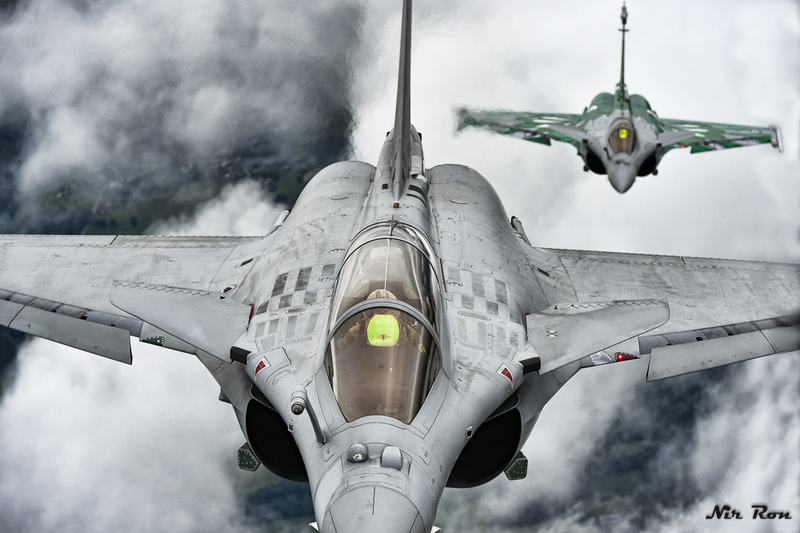 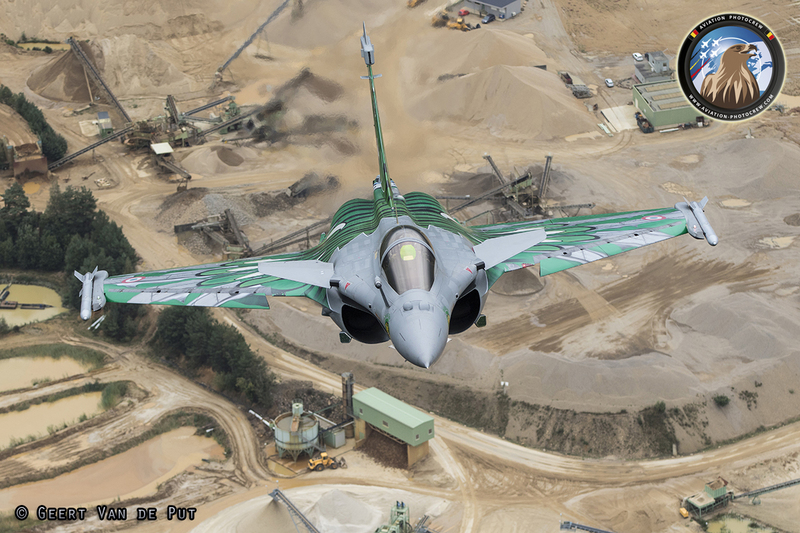 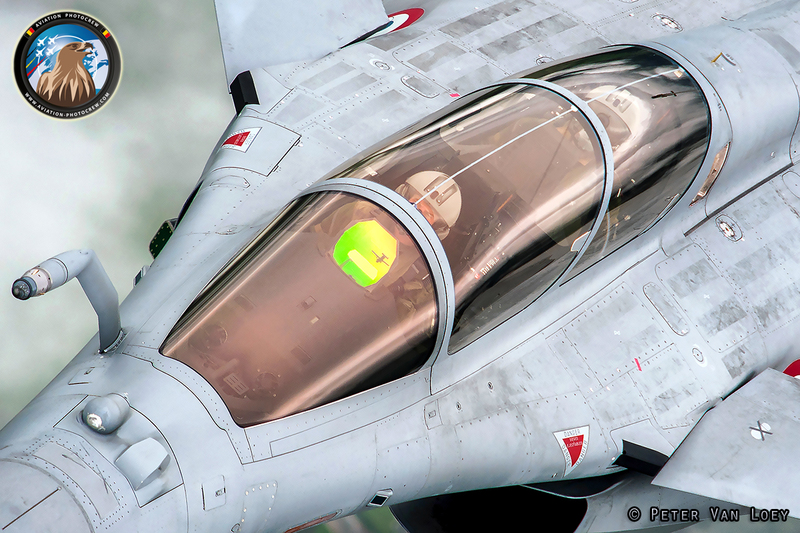 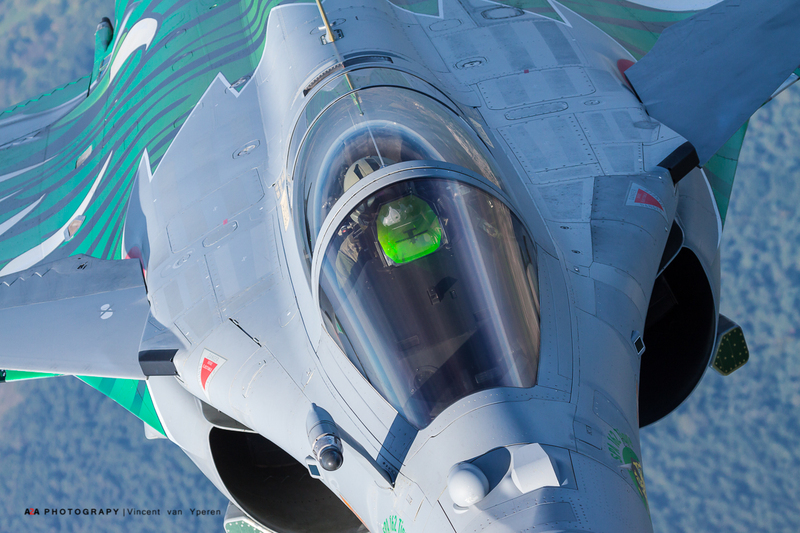 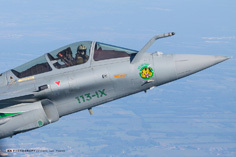 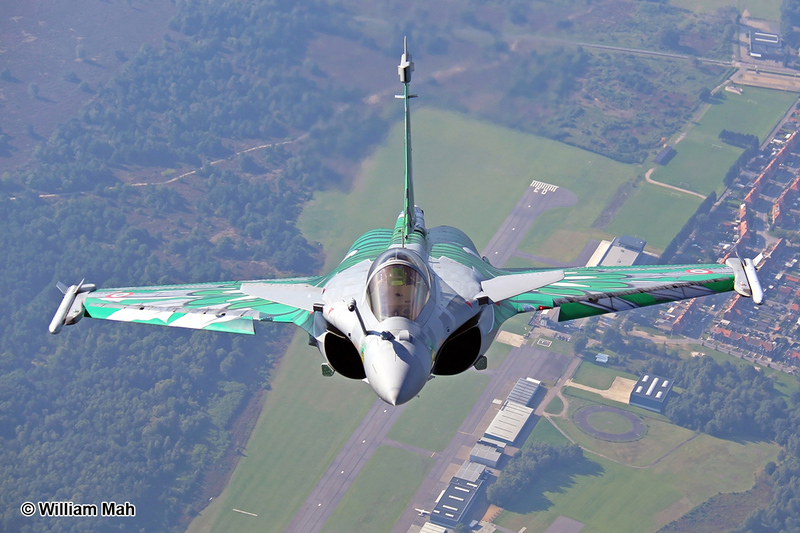 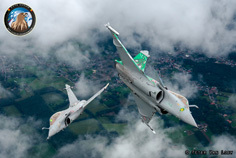 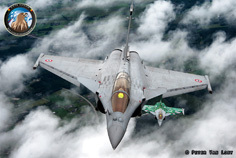 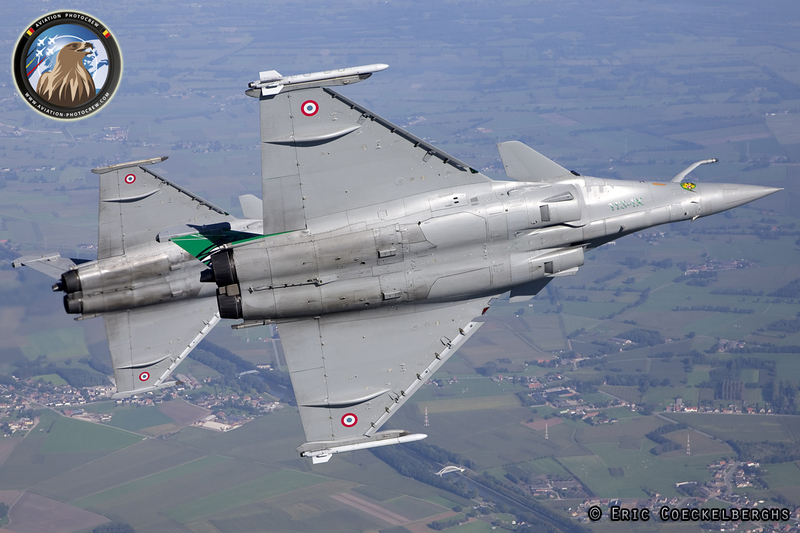 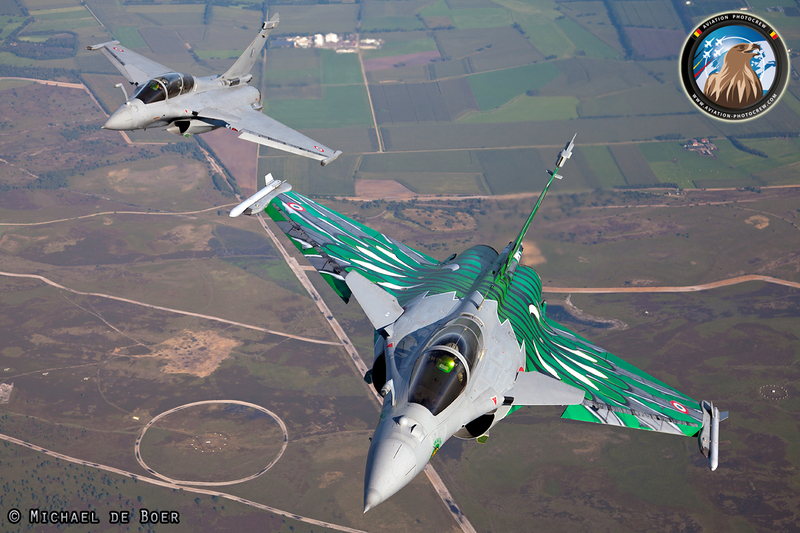 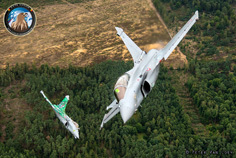 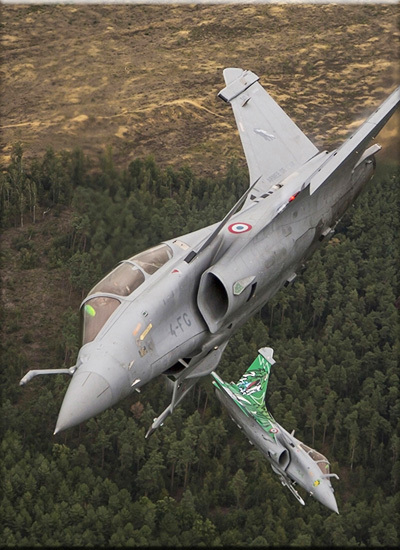 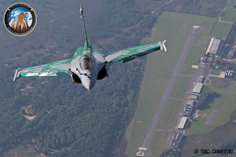 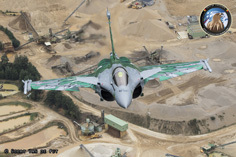 Maneuverability of the Rafale and its slow-speed handling are impressive, as are the skills of Tao and his colleagues. 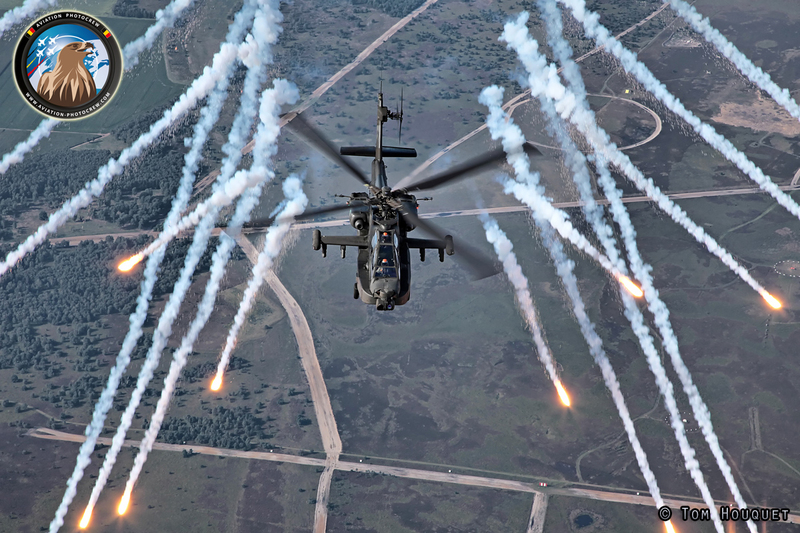 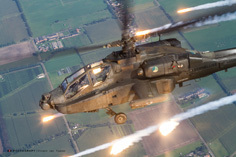 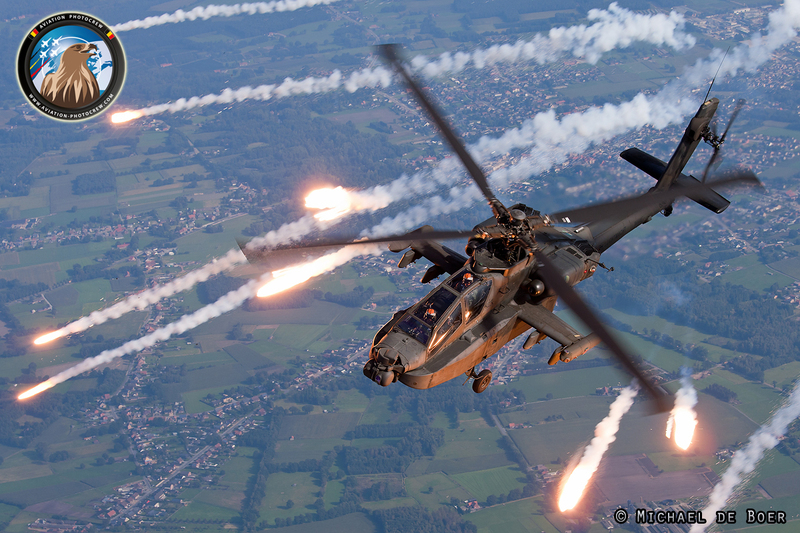 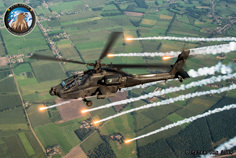 Dutch Apache demo-pilots Wally and Kaas were happy to shoot some 50+ flares over the Pampa-range in their last year as demo-pilots, which was quite spectacular, seen both from the ramp of the Skyvan as well as from the side-windows. 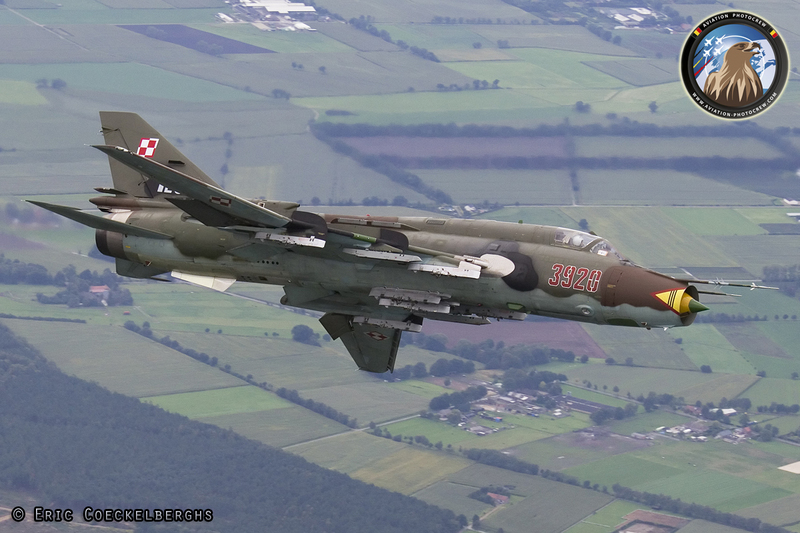 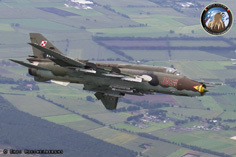 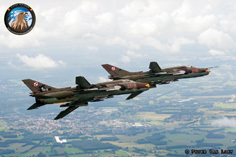 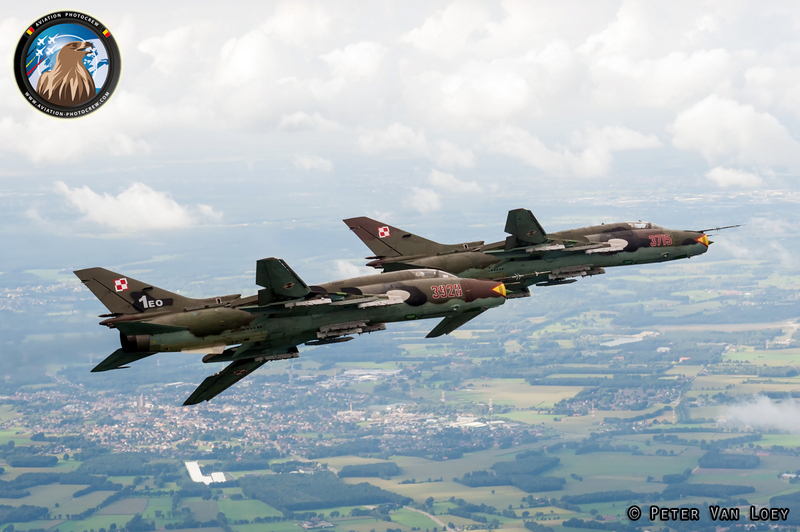 The Polish Air Force Su22 Fitter tac-demo team did their best to pose for us, although the minimum speed of their jets is slightly higher than the maximum speed of our Skyvan. Still, we all got some unique shots of these impressive cold-war fighters, even through the windshield of the Skyvan when they passed underneath us! 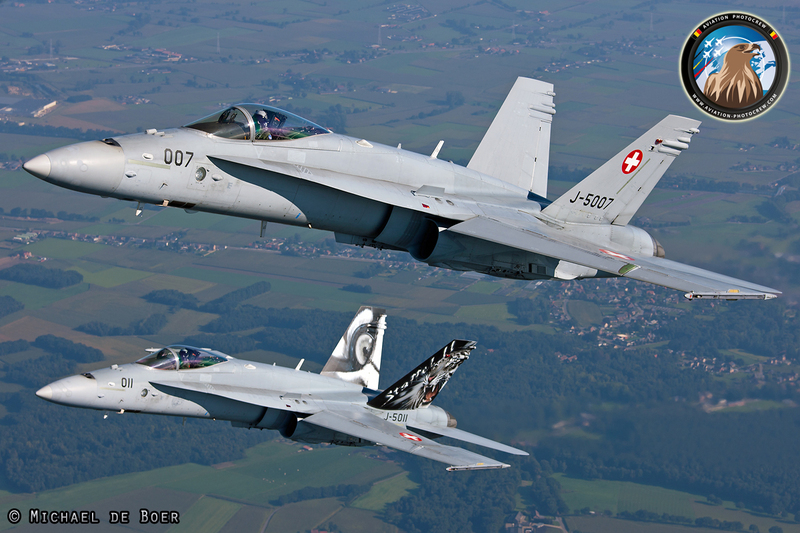 Another familiar sight behind the Skyvan are the Swiss demo-team’s Hornets. 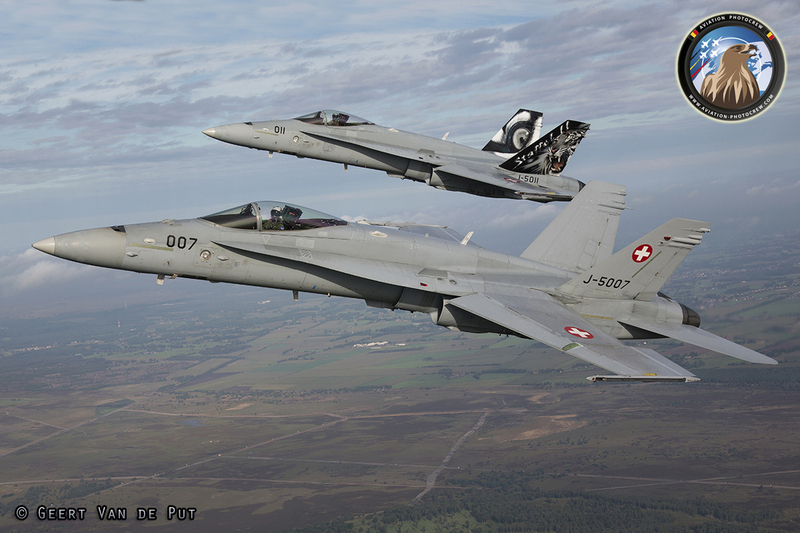 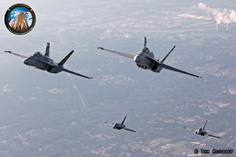 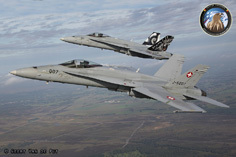 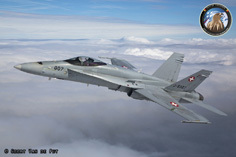 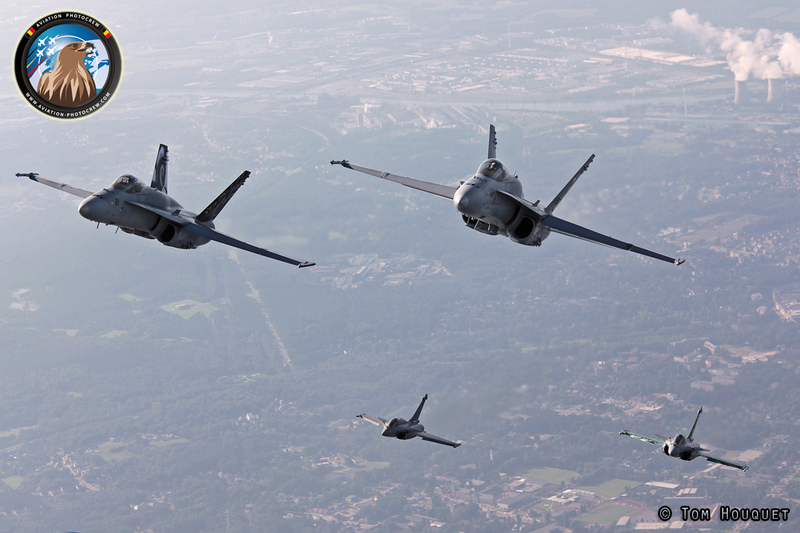 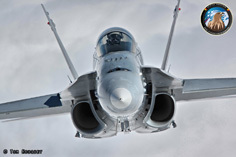 Like the F-16 and Rafale, the F-18 can easily keep-up with our photo-ship. 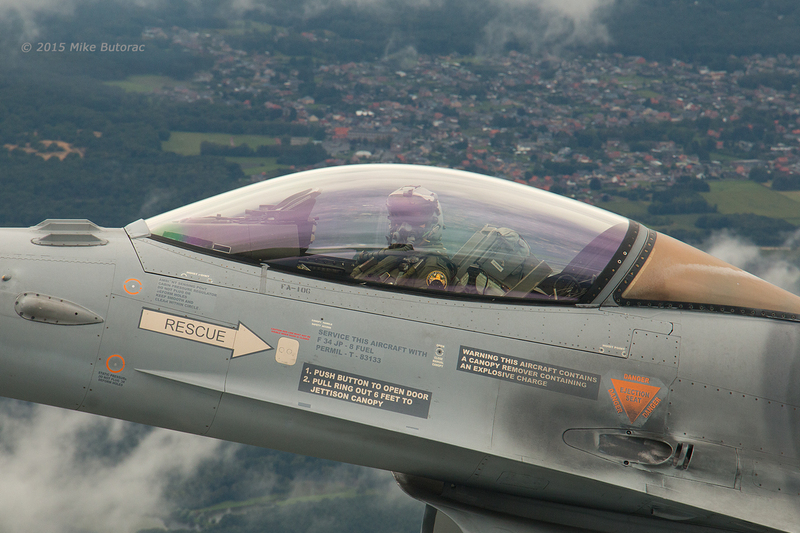 Actually, they requested us to fly slower than our maximum speed, so they could generate better vortices! 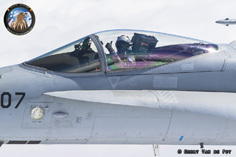 Upon arrival, they got really close with their landing-gear down and air-refueling probe extended, a movie-clip of which they posted on their website. 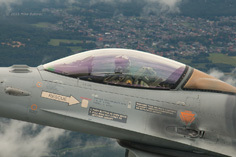 Great to see it’s not only fun for us, but for them as well! 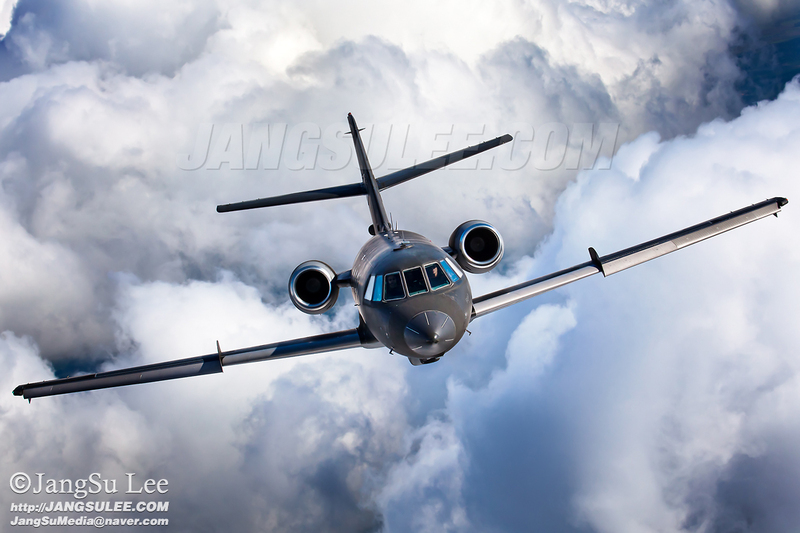 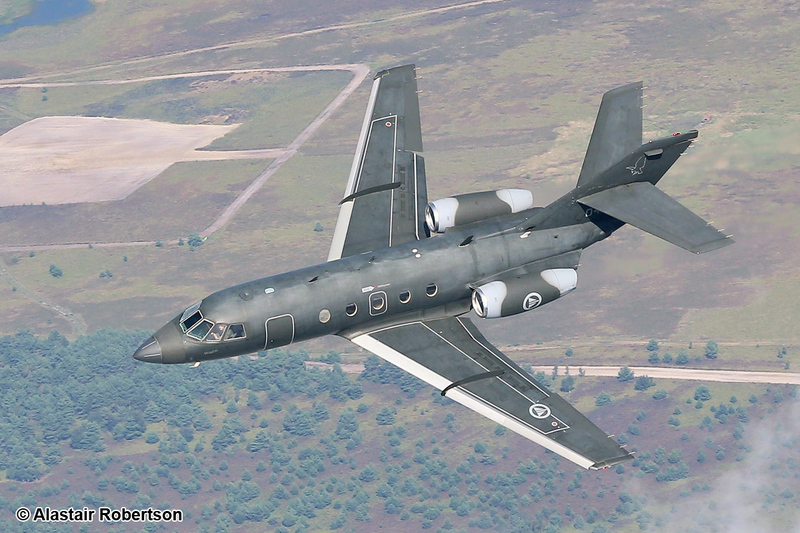 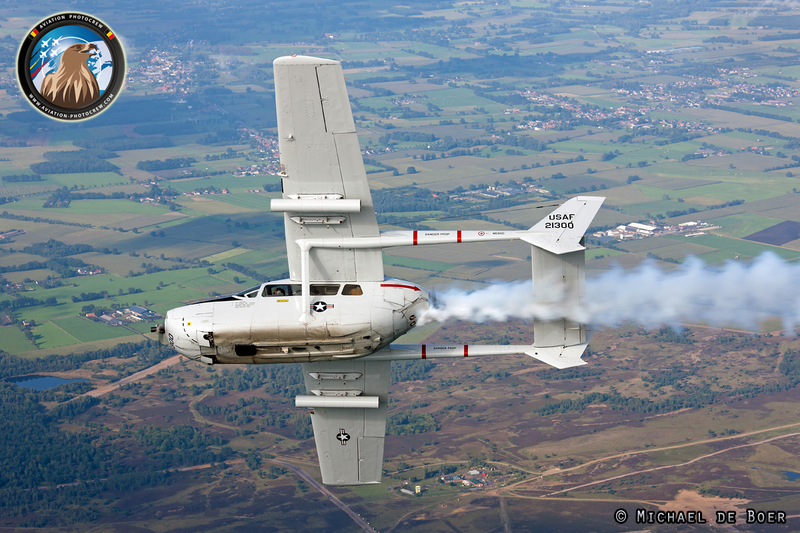 The Norwegian Air Force participated with a DA20, which was a type of aircraft we hadn’t shot before. 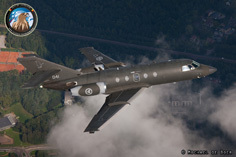 It posed for us on Sunday-morning and with its dark camouflage, it contrasted nicely with the clouds. 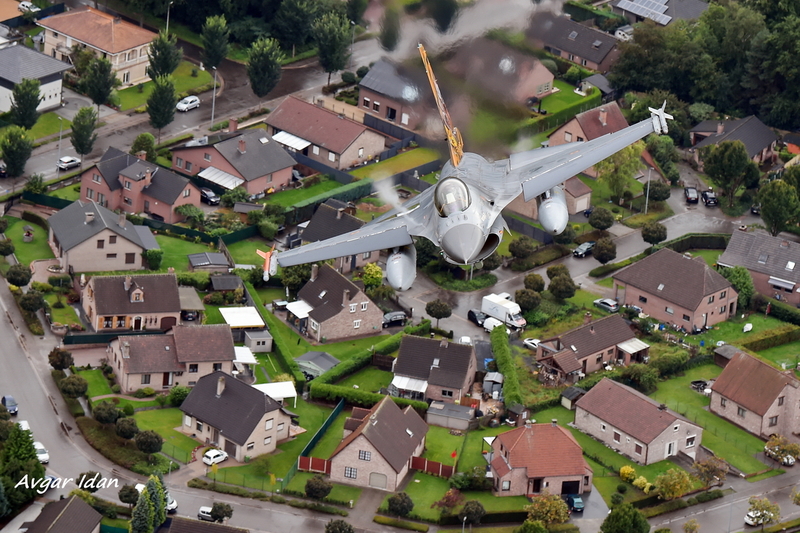 Although conditions were trying throughout the whole week, every now and then they really made the subject-aircraft pop out of the pictures. 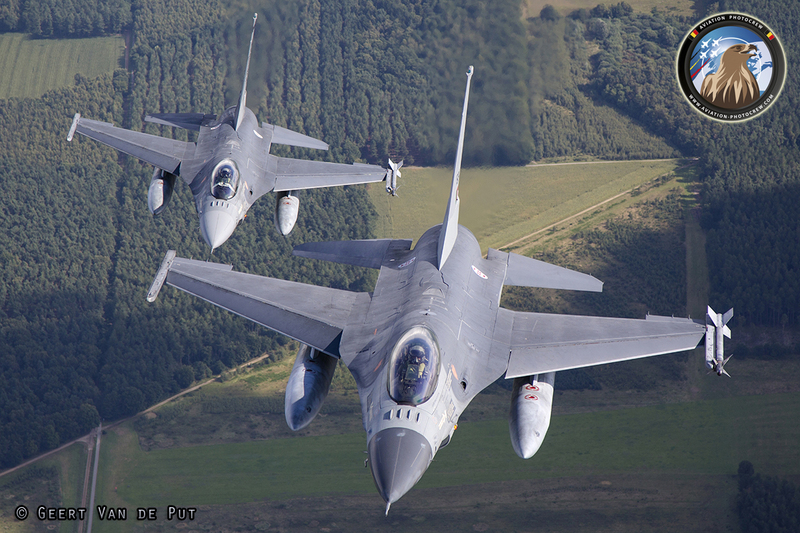 A new Air Force for us were the Portuguese. 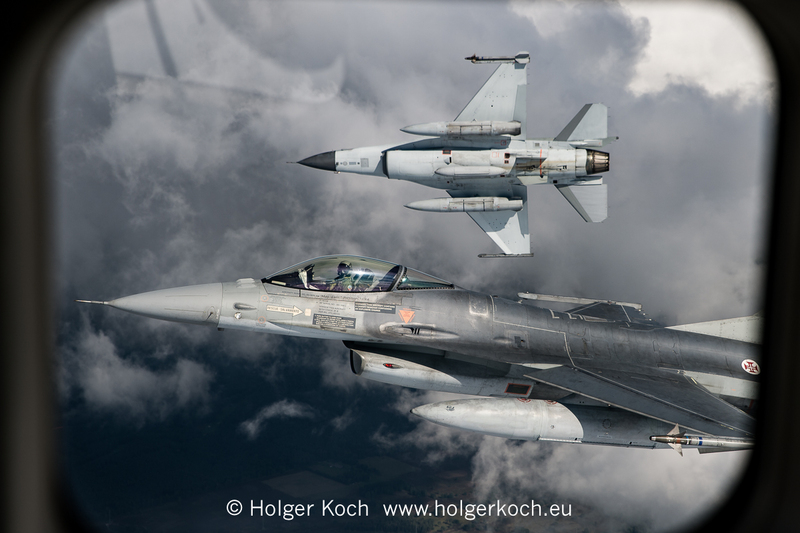 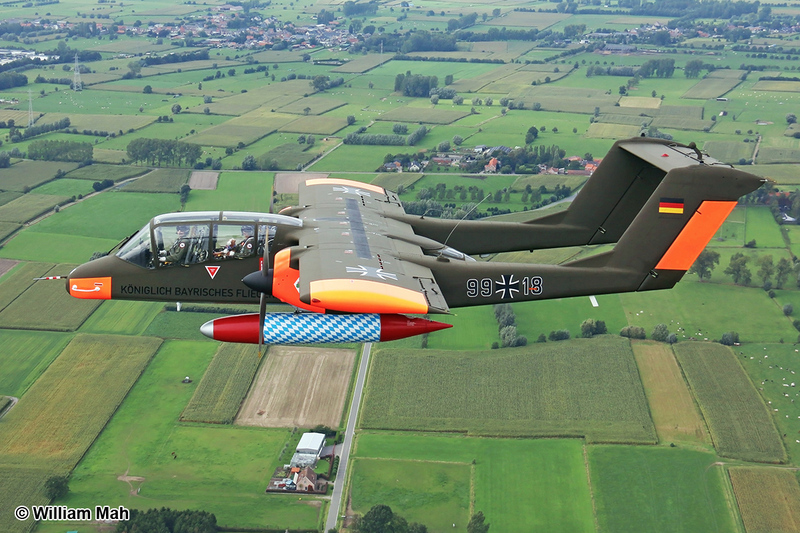 On Saturday, during the Spottersday at Kleine Brogel, they posed their Vipers behind and next to the Skyvan and the conditions again were spectacular. 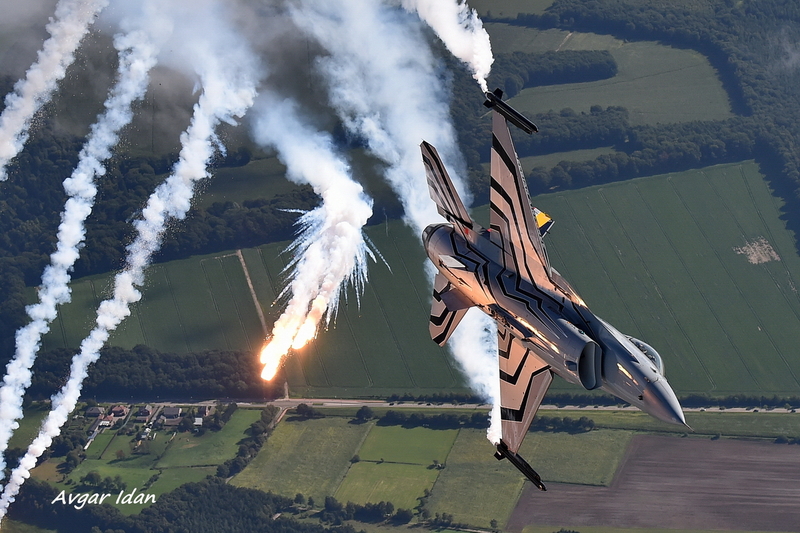 They had a modest special tail in operation colors on the tail of the lead-aircraft and skimming the clouds, the light was just stunning! 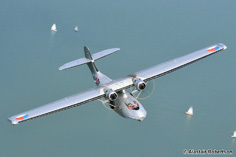 Several warbirds tested the prop-blurring skills of the photographers as well. 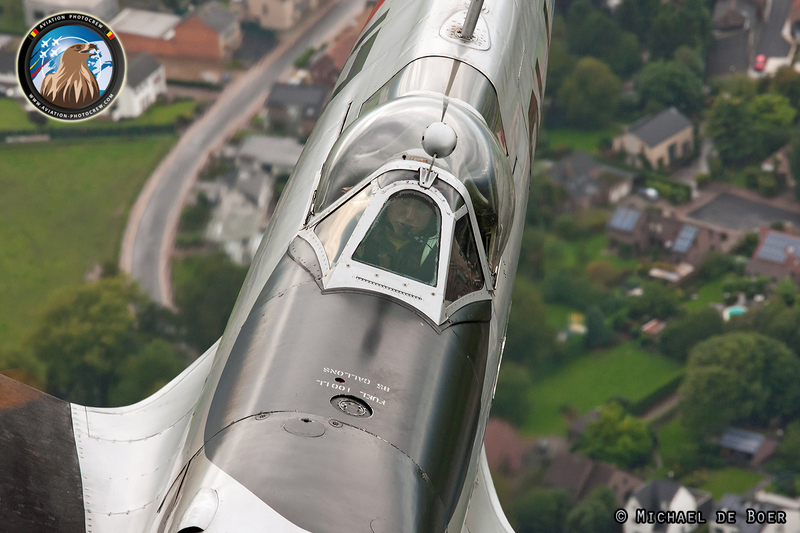 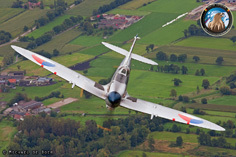 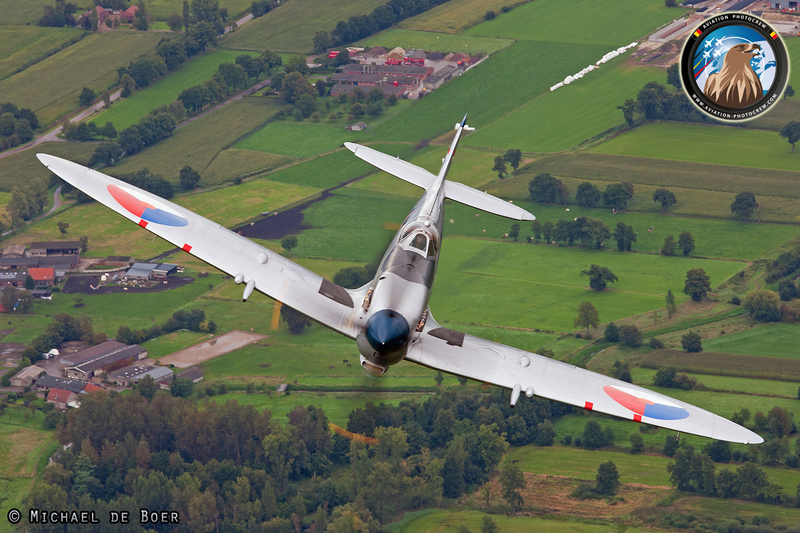 The Dutch Spitfire with well-known demo-pilot Sheik came really close-up, as we were already used from him when he posed for us in his F-16A(M) in years before. 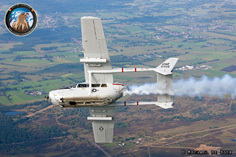 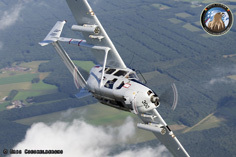 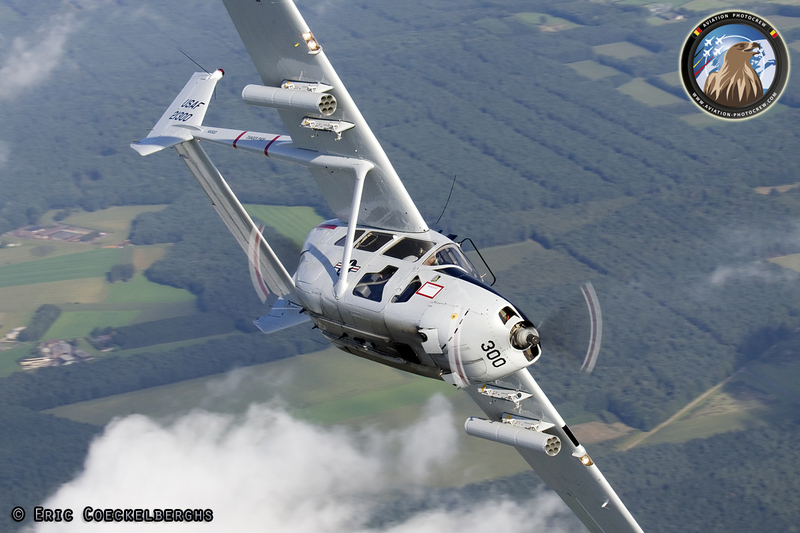 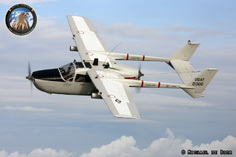 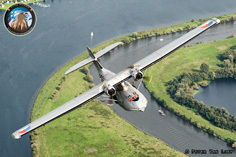 A new aircraft-type was the Cessna O-2A FAC-aircraft from the Vietnam era, operated by Stichting Postbellum from the Netherlands, with its unique push-pull engine-arrangement. 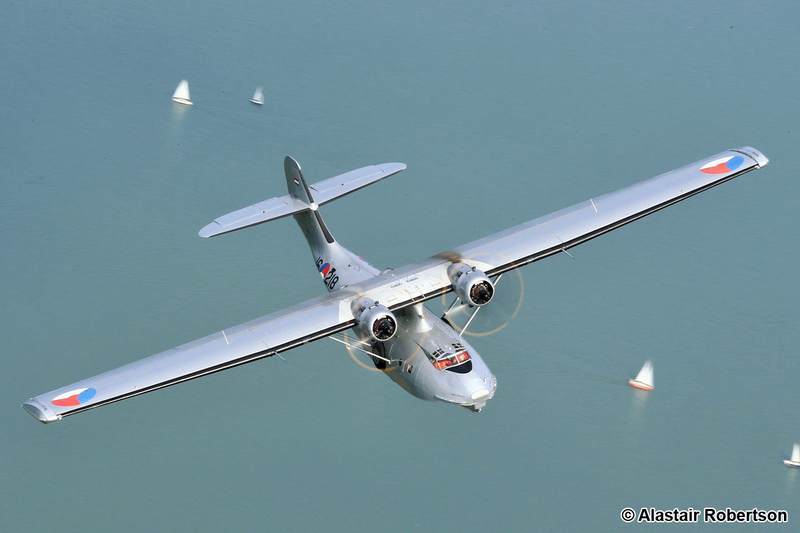 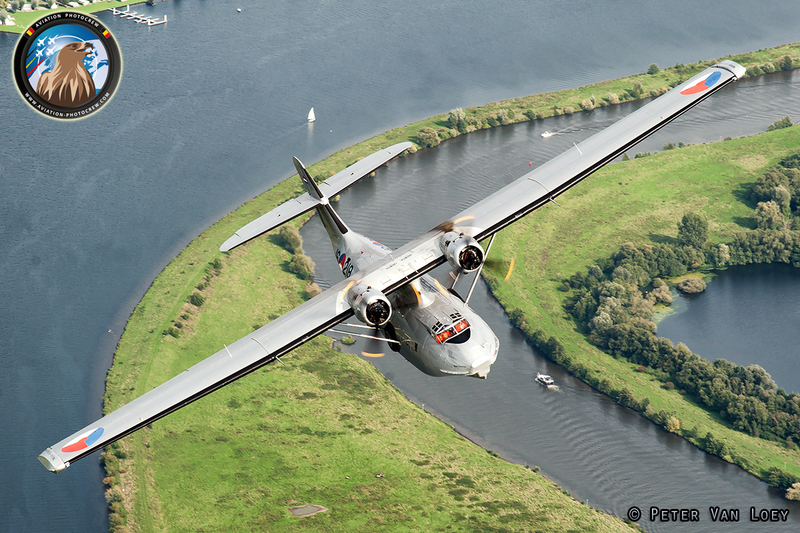 Very impressive was the Dutch Catalina, which was shot partly over the river Maas, a very appropriate backdrop for this flying boat. 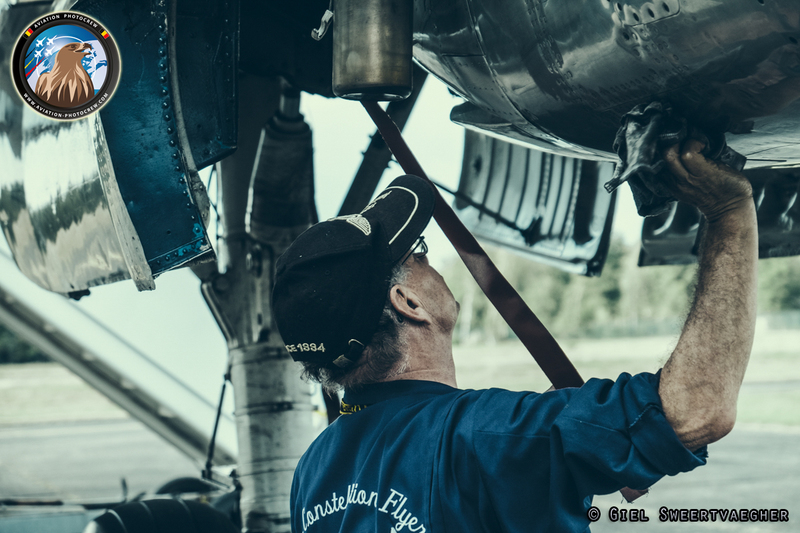 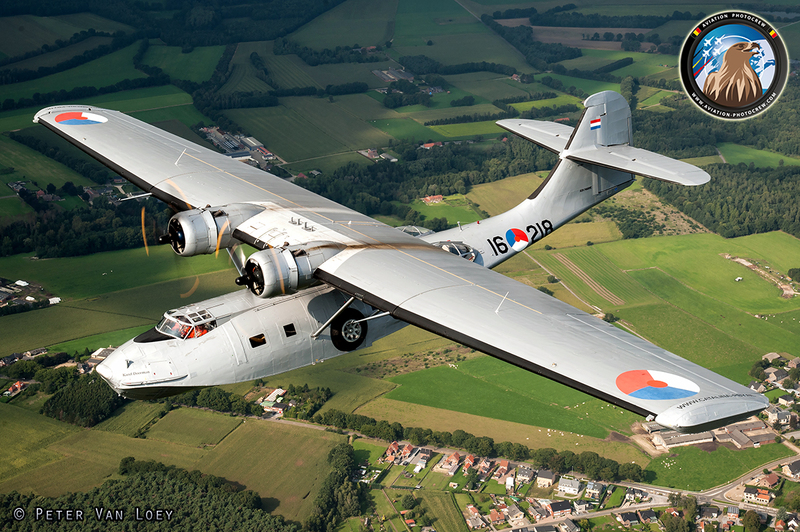 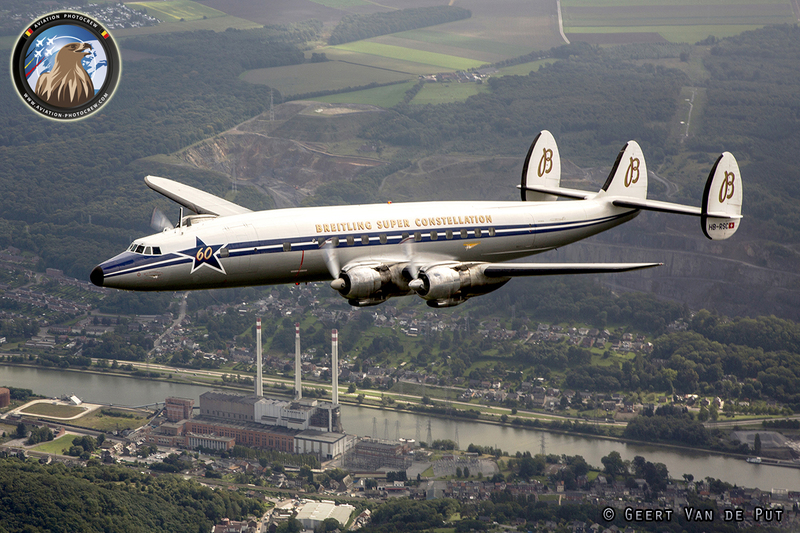 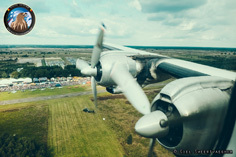 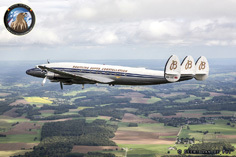 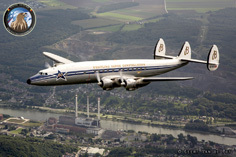 The Breitling Super Constellation also visited Belgium, and during arrival we guided the Connie with a T-28 Trojan. 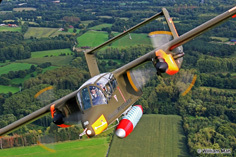 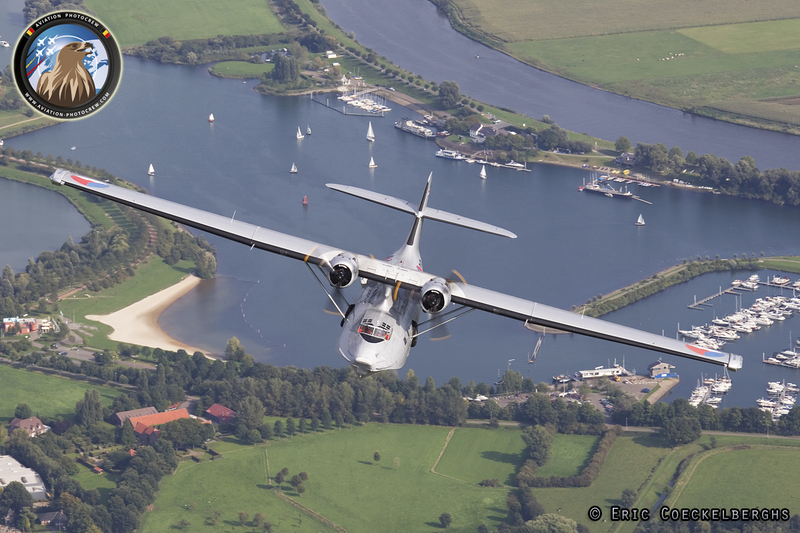 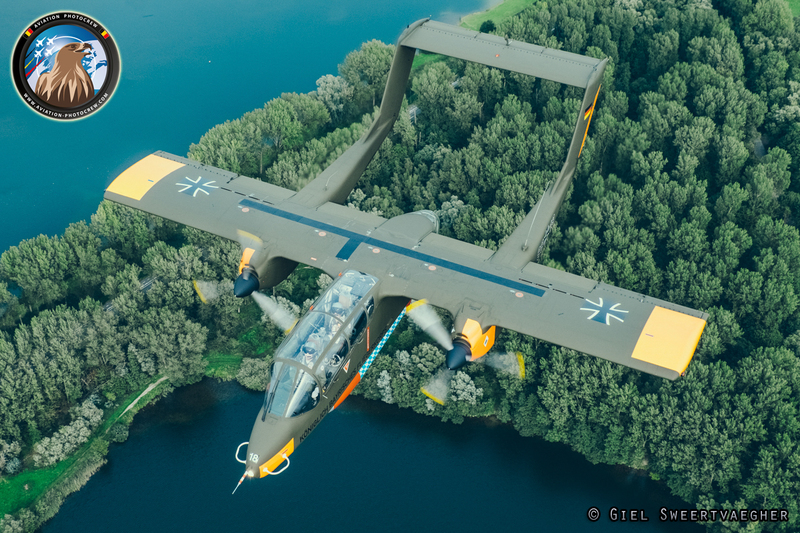 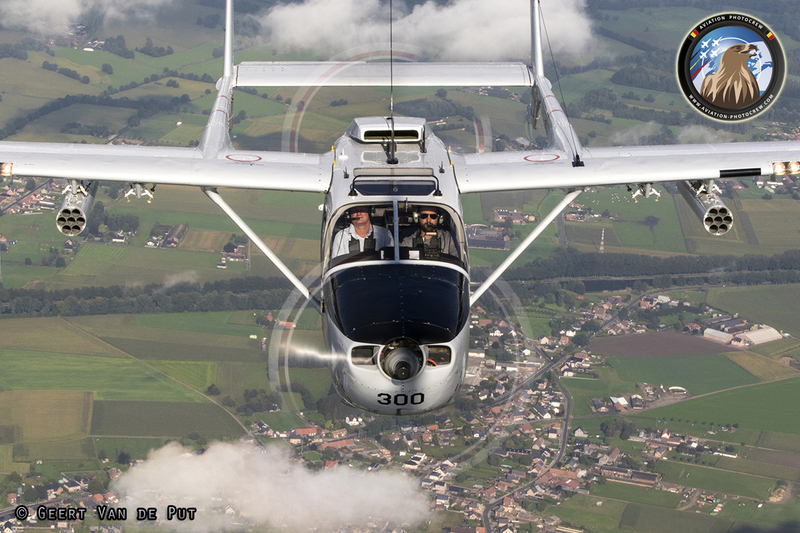 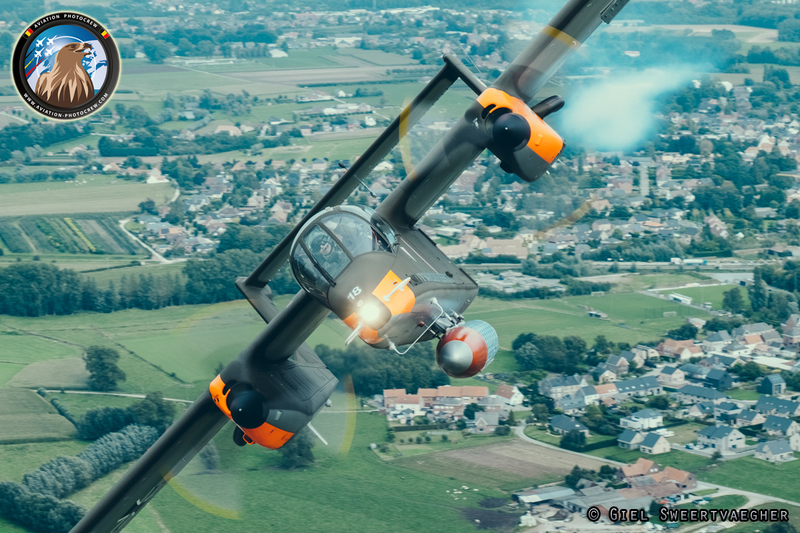 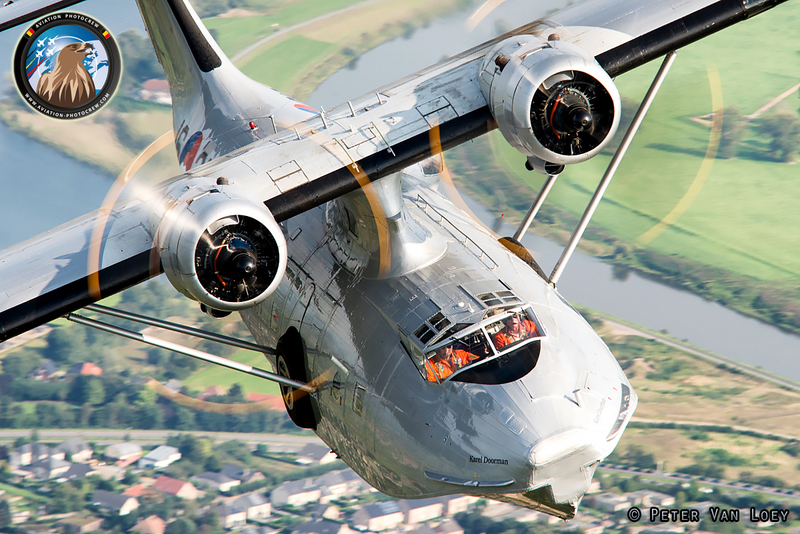 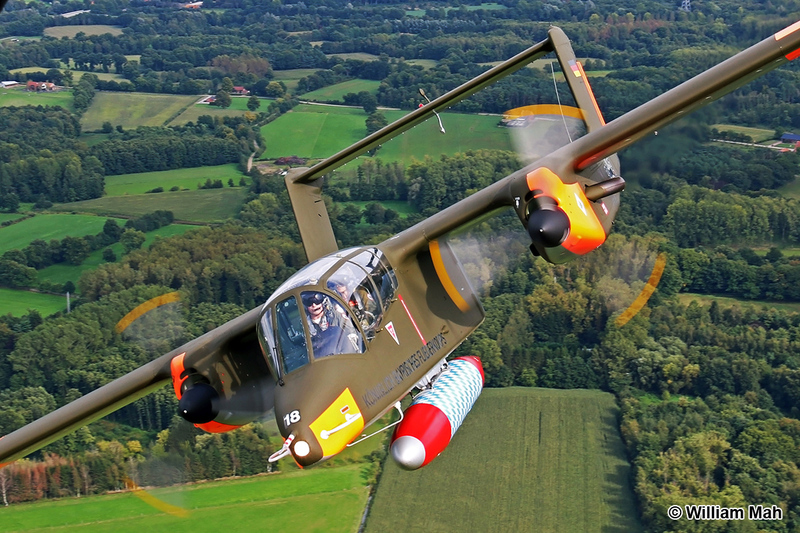 Last but not least, the OV-10B Bronco also posed behind the Skyvan for some lucky photographers who joined both planes to their homebase in Kortrijk. 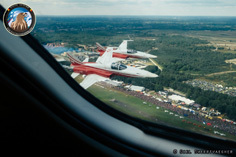 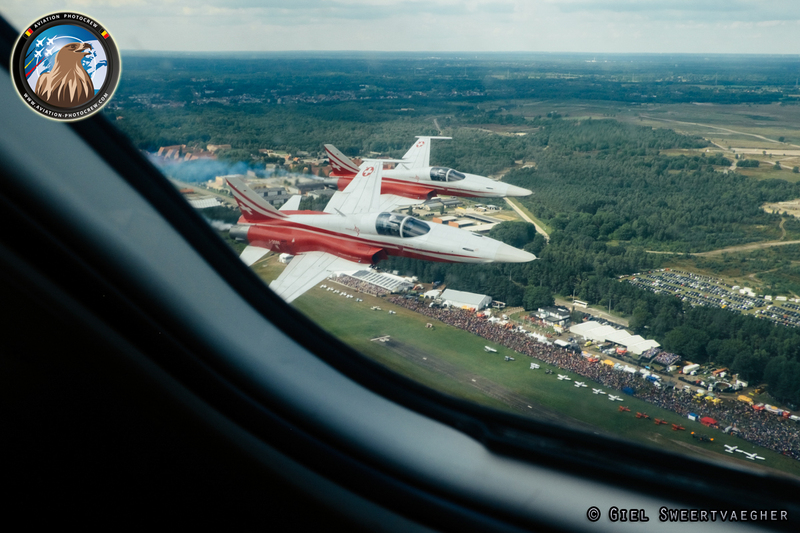 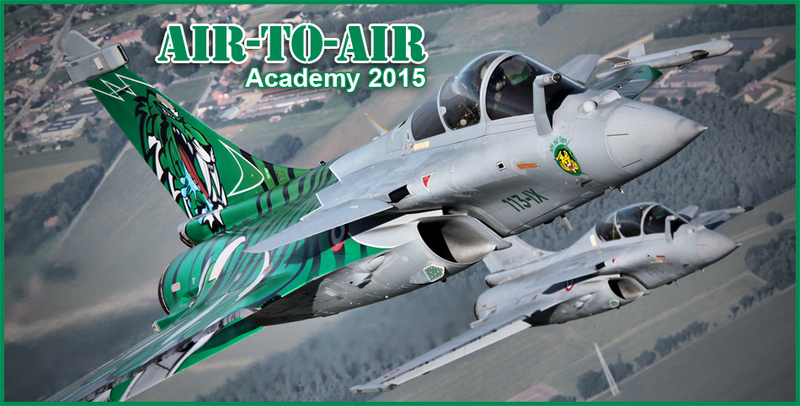 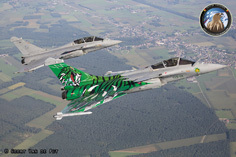 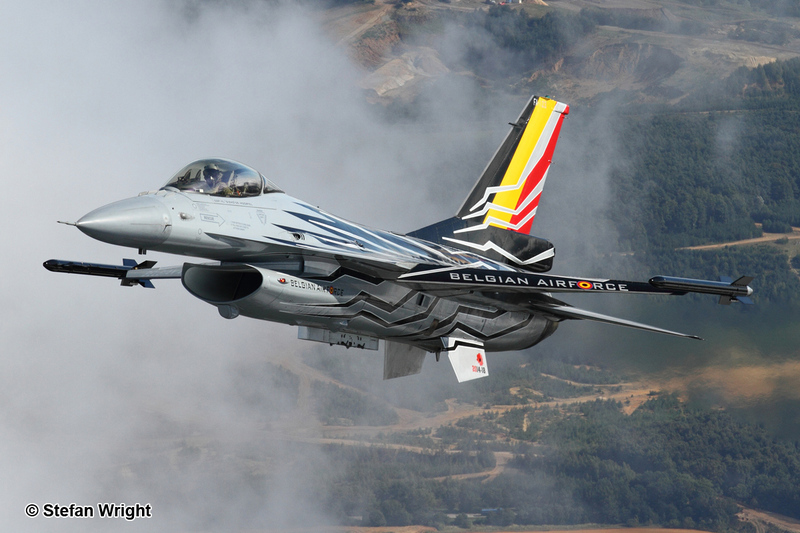 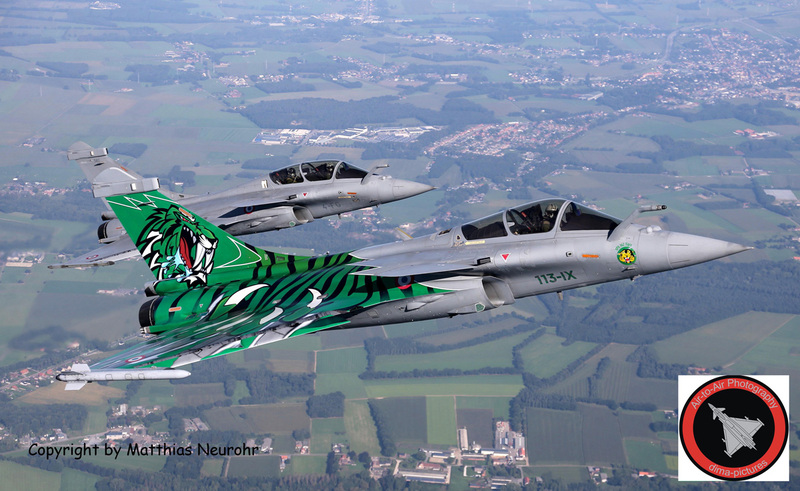 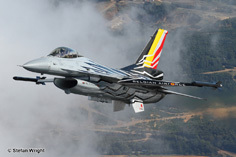 All in all, like previous years, our cooperation with the Belgian Air Force and Sanicole Airshow organizers paid off. 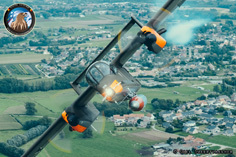 Twelve action-packed flights were the result and even though the weather conditions were not always favorable, all photographers were happy and left with lots of pictures and footage to edit and publish. 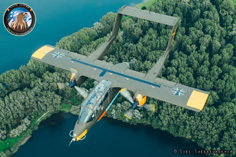 Some of their best photo result can be found below.